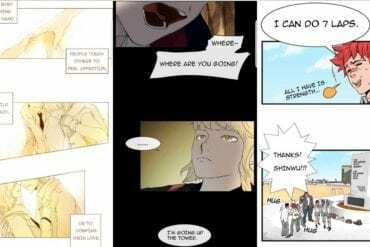 Arriving to the streets of Buamdong, one forgets that they’re in the sprawling metropolis of Seoul. There are no Starbucks or Paris Baguettes to be found here, no cosmetics hawkers or deliverymen jostling you on the streets. 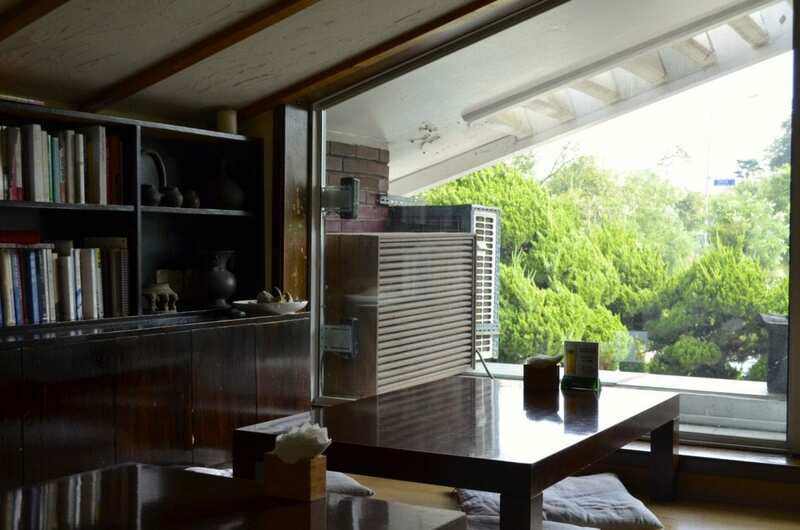 Just a peaceful quiet, a nice view of the mountains, and charming spaces occupied by artists of all kinds. 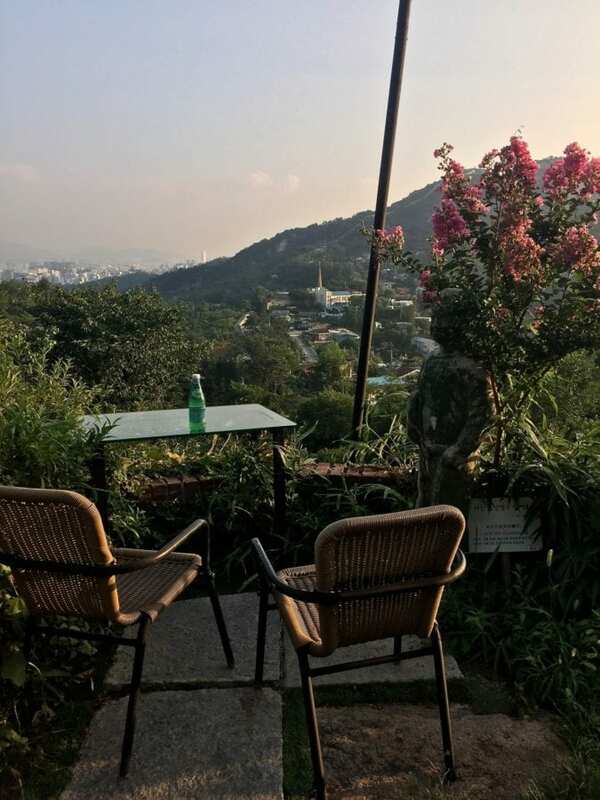 It is a beautiful respite from Seoul with all the art but none of the gritty urbanity of Hongdae, overloaded tour buses of Insadong, or pretentious airs of Samcheongdong. 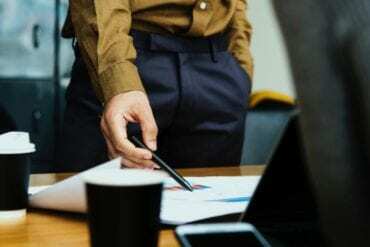 Here you’ll find mall independent art galleries, cute shops, great museums, and perhaps some of the best coffee and chicken you’ll have in your life. In terms of public transportation, this secluded mountain neighborhood is accessible only by bus. 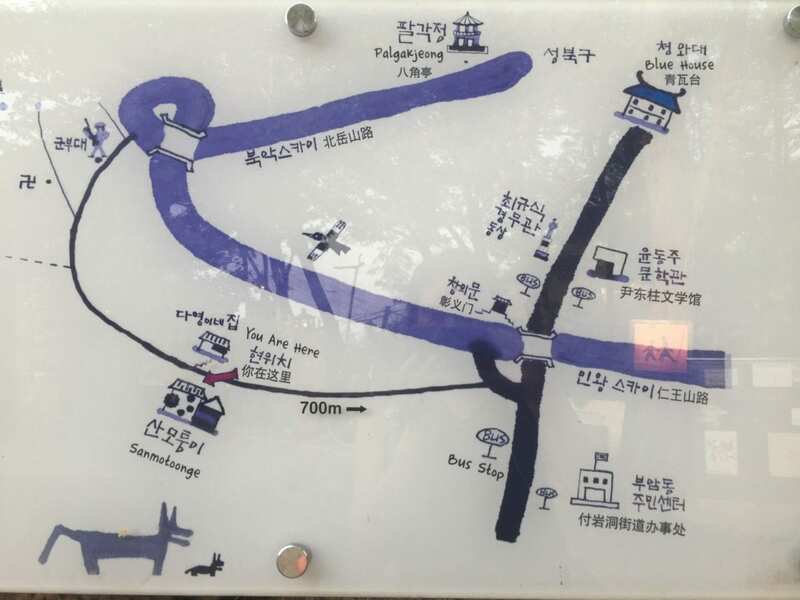 The Literary Museum stop will drop you at the entryway to Buamdong, where you can see Jahamun Gate and the YoonDongJung collection and continue 100m up the hill to the main road. The Buamdong Community Center Stop will have you on the main strip, featuring one stop-light and a three-way intersection. 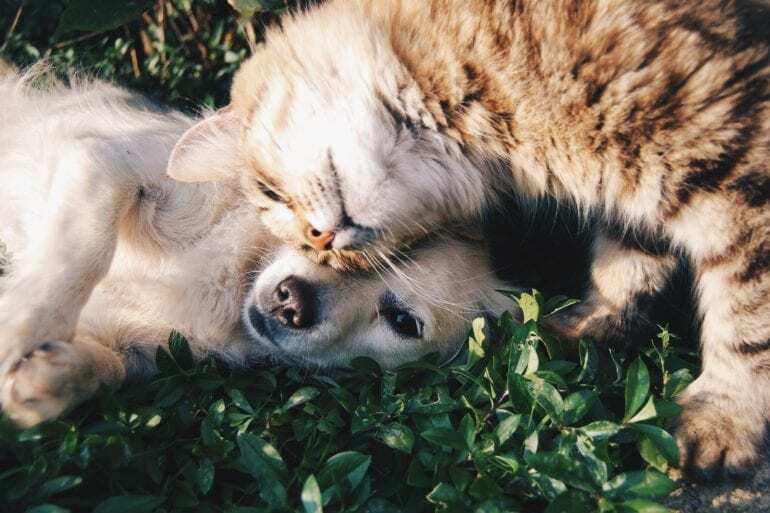 If you’re starting your journey off hungry, this is a better location to get off. 1020 (Gyeongbukgung), 7212 (Yaksu station, Jongno 3-ga station). 7212 (Yaksu station, Jongno 3-ga station). 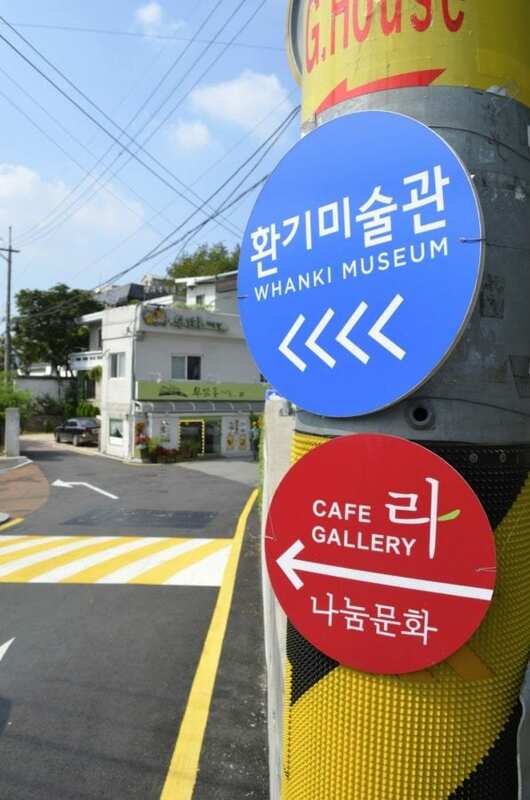 For those coming by car, there is ample parking up the hill , around the neighborhood, and a few spots at the Whanki Museum and Seoul Museum. *Note: Many of the small businesses and galleries are closed Mondays. We recommend coming here on a weekday around 11:00am-6:00pm when all facilities are open and there is no cafe crowd. 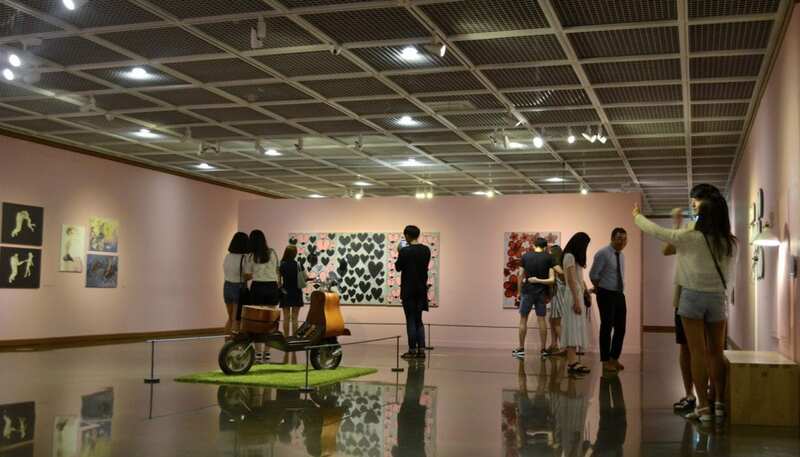 Easily the most versatile museum in Seoul, the Seoul museum is home to three floors of temporary and permanent modern and classical art by Korean and foreign artists. 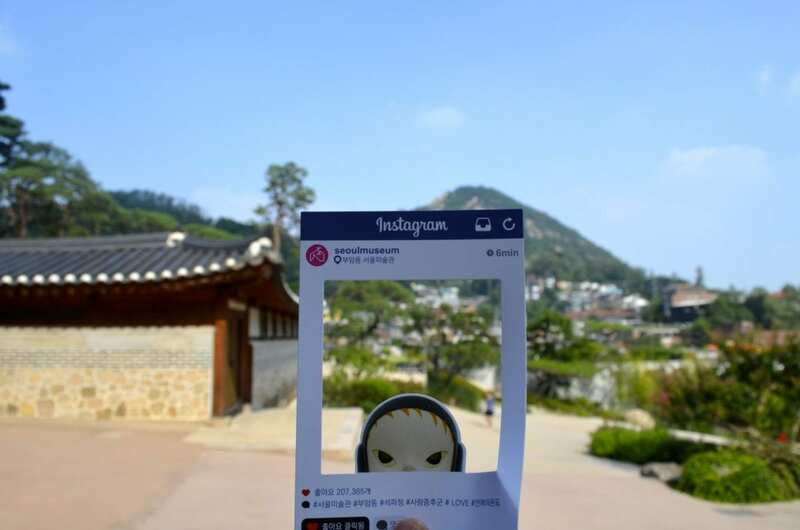 The top floor gives access to the Museum’s shop as well as Seokpajeong, a stately old hanok that was once a royal villa. During my visit the post-modern exhibit was entitled “The Temperature of Love”, which explains the very high density of couples in the hall! Exhibitions halls are very spacious with careful attention to balance and proportion of the exhibited works. 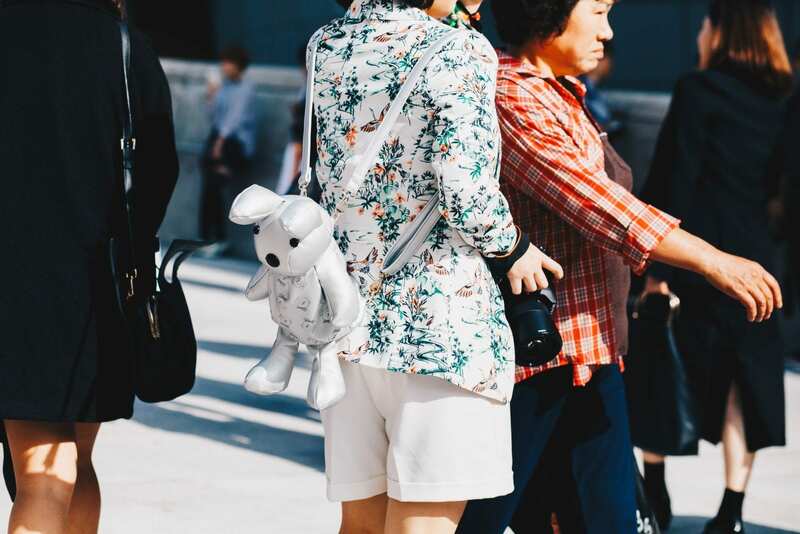 Despite being a popular stop along the Korean tour route, museum guides allow you to slowly view and savor the art instead of hurrying you along after photographs in bali bali fashion. While the exhibition pamphlets are not generally available in English, audio guides are available upon request. Adult 9,000, College Student 7,000W, Student 5,000W, Child 3,000W. A former royal villa, Seokpajeong is a majestic complex of gardens, natural rock faces, and traditional quarters that were used by magistrates during the Joseon Dynasty. 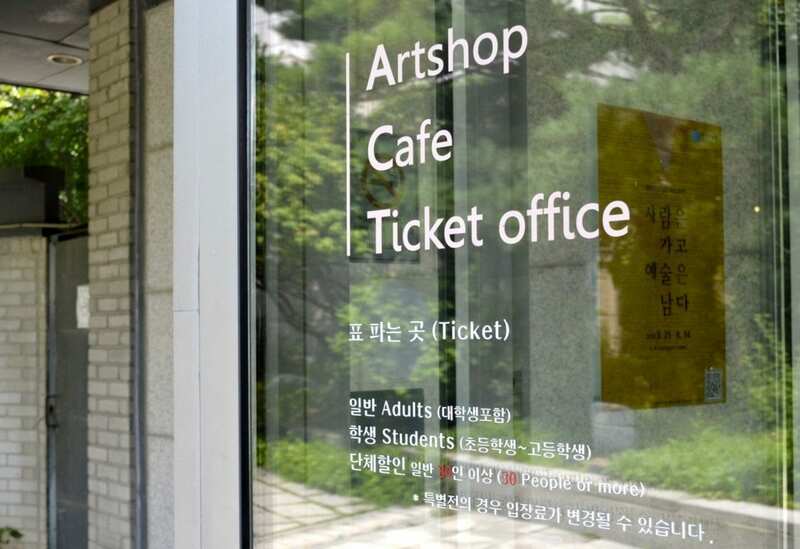 It is accessible only through the Seoul Museum, but entry is included with your ticket. 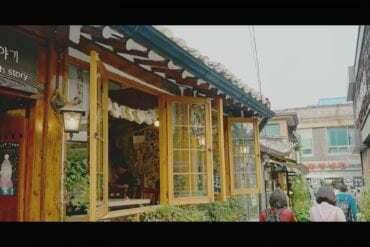 Seokpajeong was recently renovated by the Seoul Metropolitan Government and Seokpa Cultural Institute with painstaking care, the lacquered wood beams sanded with corn flour instead of sand paper to preserve the delicate wood. 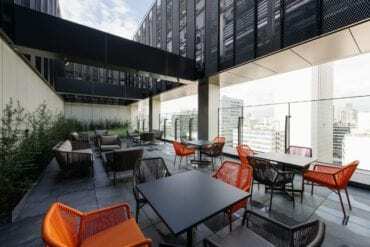 The surrounding grounds have also been remodeled include perfectly manicured gardens and a sculpture pavilion with the best views of the Buamdong neighborhood. 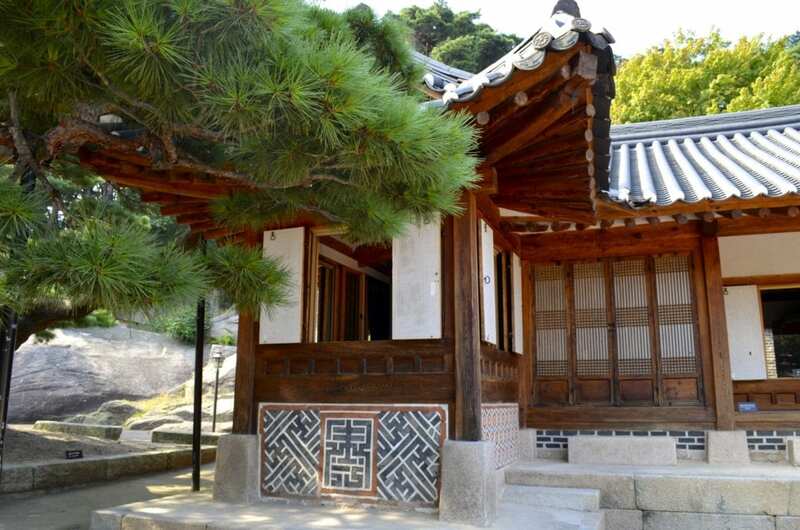 The main hanok ,Byeolchae, is wrapped by a centuries-old, gorgeous pine tree which is protected tree No. 60 by the Seoul government. 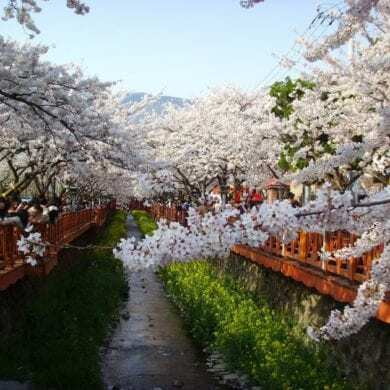 Pine trees are very dear to the Korean culture, their traits of steadiness and indomitable spirit follow the values displayed in the national anthem. 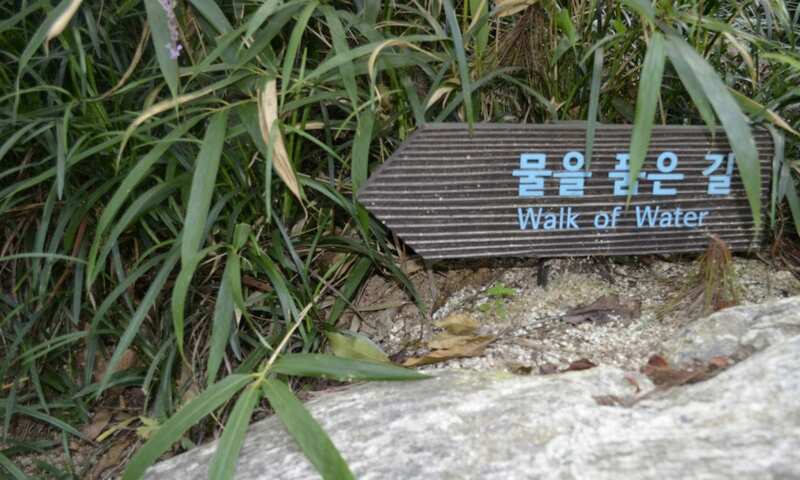 Past the hanok buildings, there are a number of short hiking paths named after the natural elements. 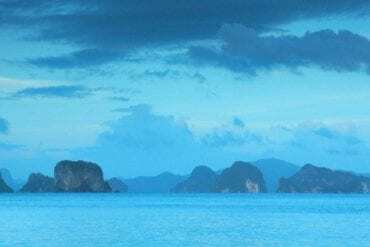 There are a few other historical and natural landmarks to be discovered along the way and lovely classical music playing from hidden speakers throughout your journey. 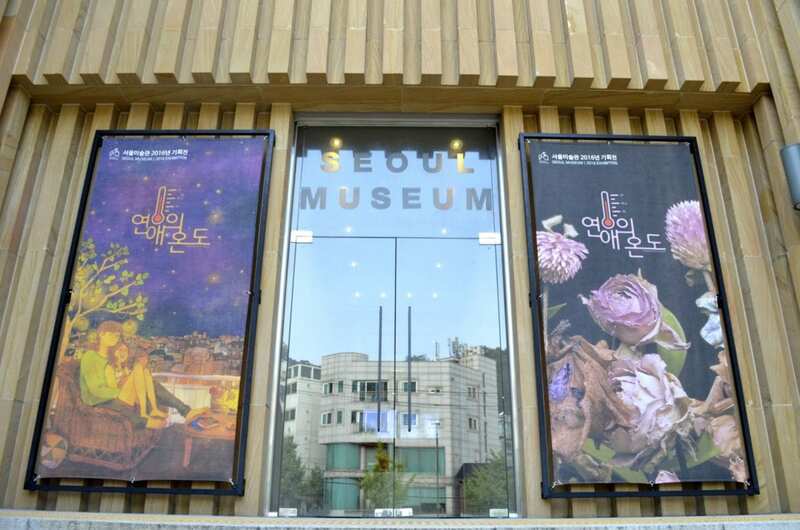 Hours: 11:00am-6:00pm, entry free with Seoul Museum pass. 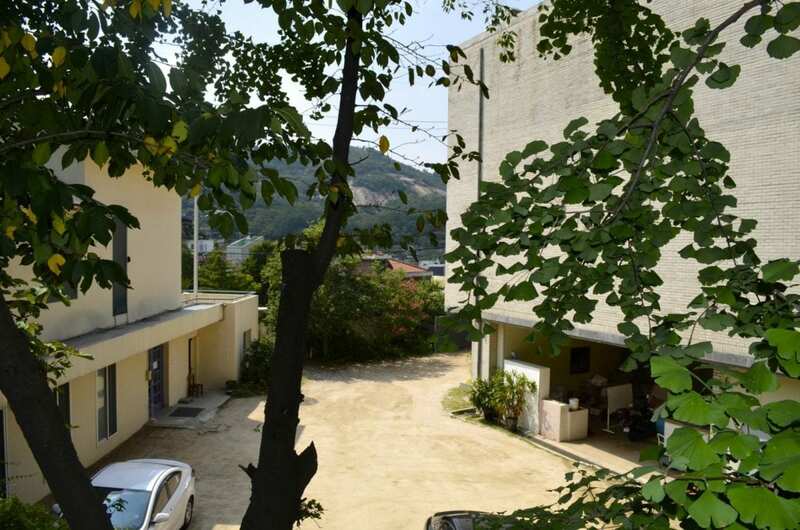 Just past the road of shops& boutiques and the Seoul Museum, you’ll notice a little alley road going up the hill. 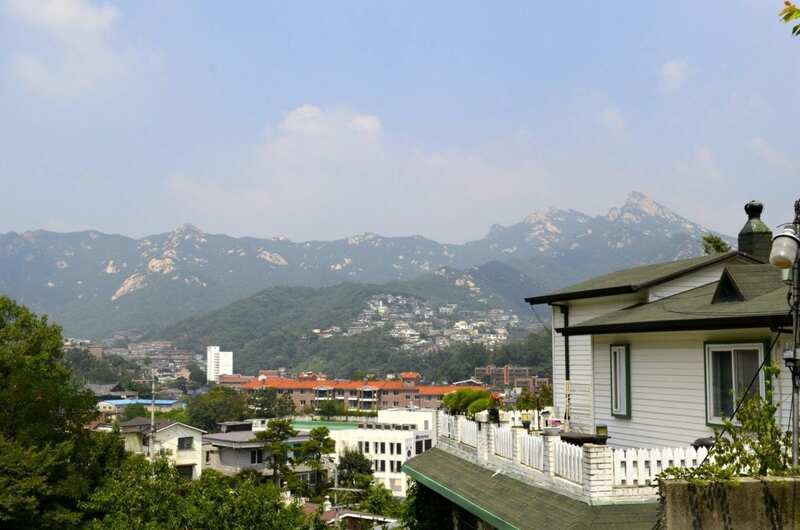 This road gives access to Yonsei University Syngman Rhee Institute of Modern Korean Studies and a small residential neighborhood. 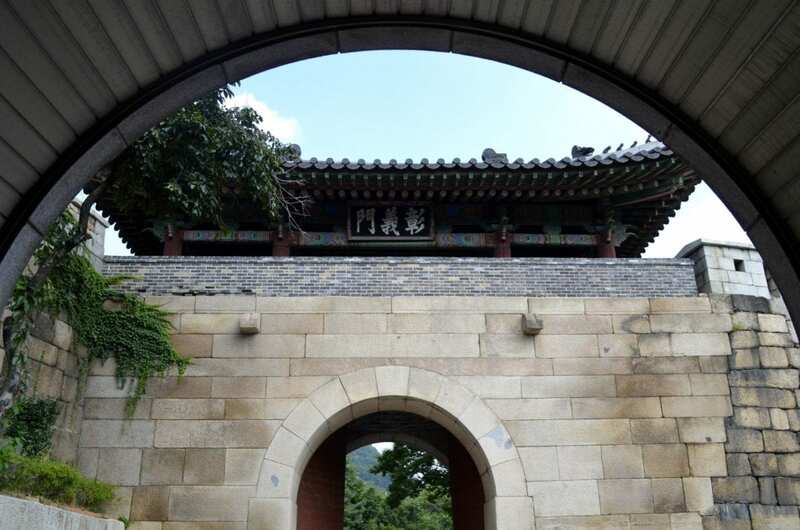 While you are not allowed to enter the complex without a pass from Yonsei, the walk itself is short and provides views of the elegant blue-tiled gate (similar to the design of the Cheongwadae Presidential residence) and views of the Buamdong Valley once you reach the end of the path. 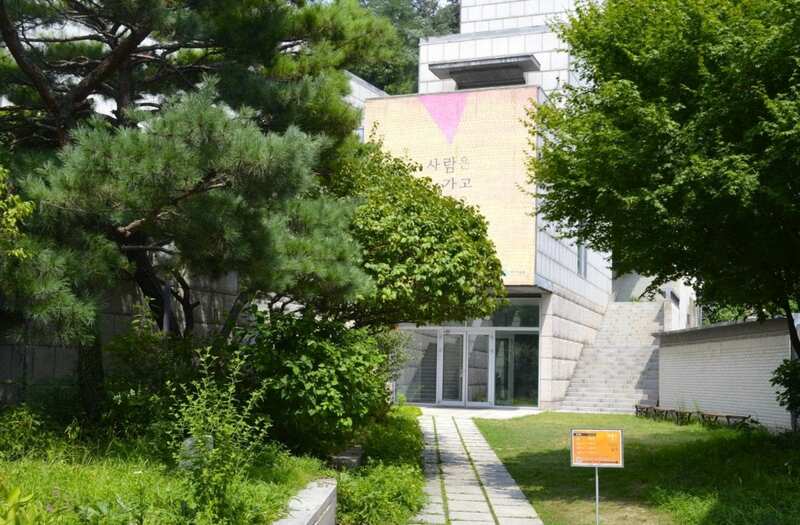 A private art museum and courtyard possessing over 6,000 of Whanki Kim’s works and personal items, this museum is the hidden gem of Buam-dong. 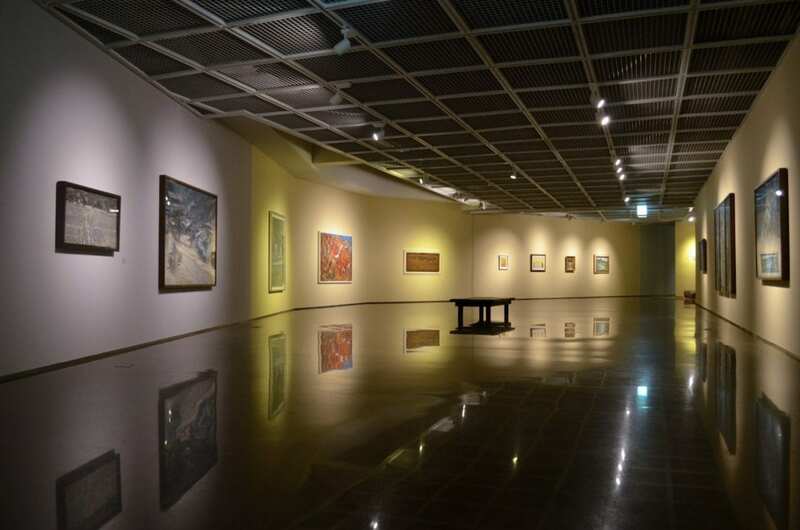 As I spoke to curator SeungLee Paik, she noted that their gallery space is recognized as the 2nd most beautiful museum in Korea (second only to the Leeum Samsung). The Whanki Museum strives to leave a moving impression on its visitors not only from its fantastic collection but also its handsome grounds. Likewise, no photographs are allowed in either museum to maintain a quiet environment in which to view the art. Whanki Kim is best known as the father of Korean abstract art; he adapted Korean landscape scenes into jewel-toned, pointillism-styled canvases and cotton prints. 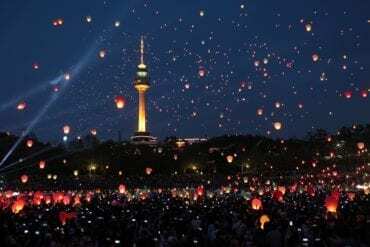 He is best known for his “Pointillism-Dot Painting” collection which expresses Korean lyrical sentiment and has been exhibited in Paris and New York as well as Seoul. The museum complex itself features picturesque ,landscaped gardens around the main exhibition hall, and a museum shop and cafe housed in the first annex building. A short walk away is the educational center and access to parking. 10,000 for an adult ticket, 5,000 for a student ticket, discounts available for large groups and seniors. Check the current exhibition here. Closed Mondays and National Holidays. 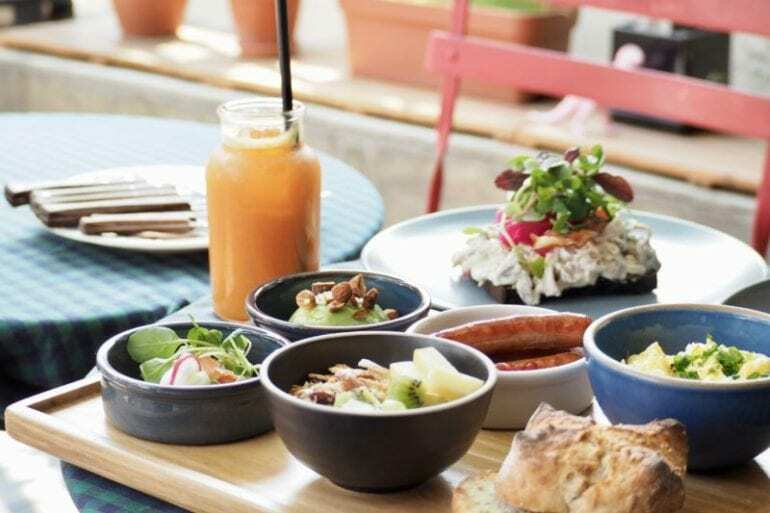 A 50m walk from the Whanki Museum, Cafe Gallery is a recently founded concept cafe by Namun Munwha. 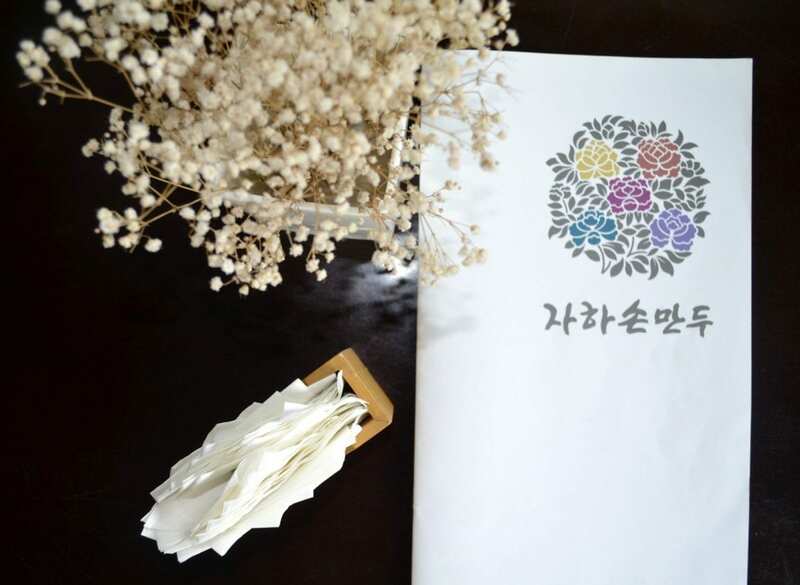 As a nonprofit organization, Namun Munwha aims to spread peace through the exchange of cultures, not only Korean but international ones as well. 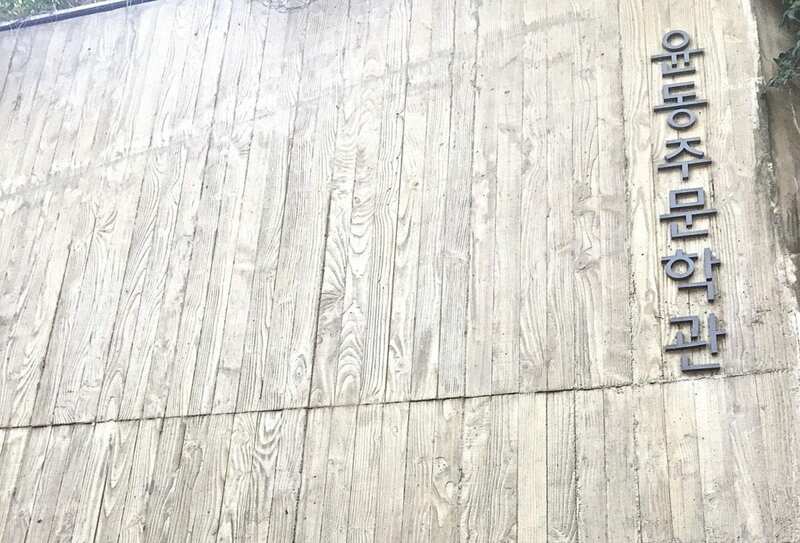 Their cafe is housed on top of their offices (2nd floor) and has its own gallery spaces as well as an artbook collection and pamphlets on current cultural happenings that you can peruse while sipping your espresso. 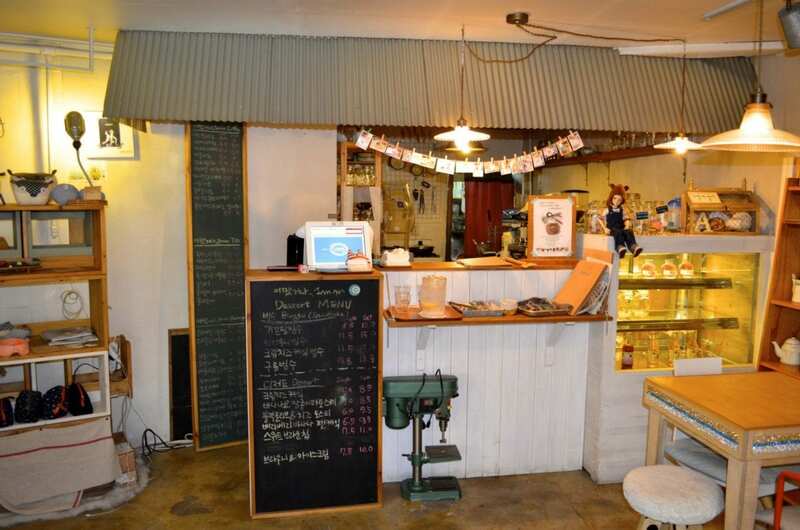 The cafe is quaint and filled with solo travelers and students enjoying towering sandwiches and ricotta cheese salads. 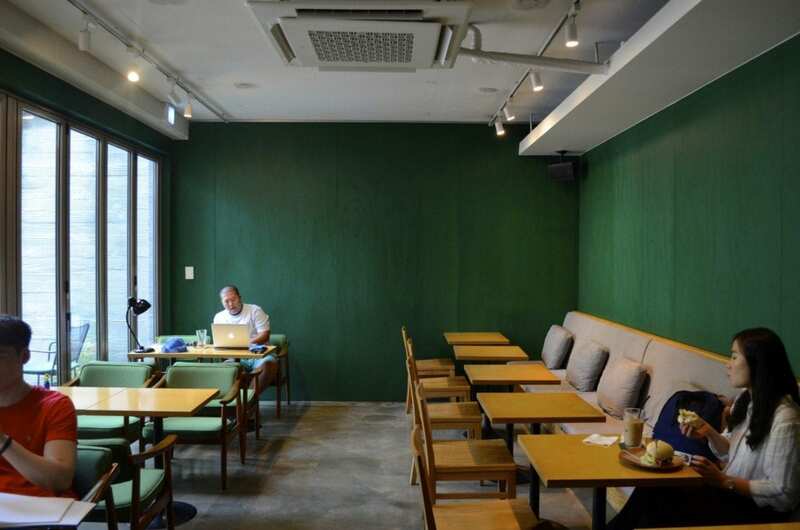 The forest-green walls instill the cafe space with a serene atmosphere while reflecting the foliage on the patio outside. Americano 5,500W, Gallery space entry is free of charge. Changuimun Gate is the Northwestern-most gate of the “Eight Gates of Seoul” and connected to the great Fortress Wall, built to protect Seoul from invaders during the Joseon Dynasty. 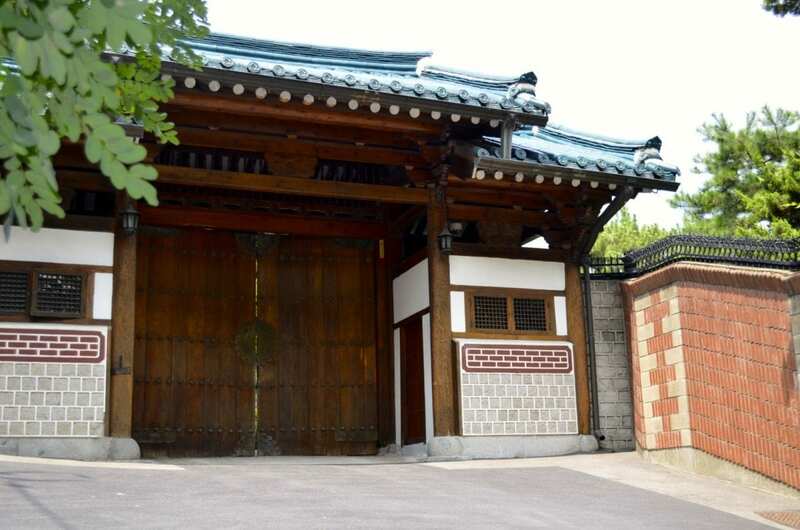 Originally constructed in 1396, Changuiman was the main exit and entry point to villages up North while the larger Sukjeongmun (North Gate) served a more ceremonial purpose. 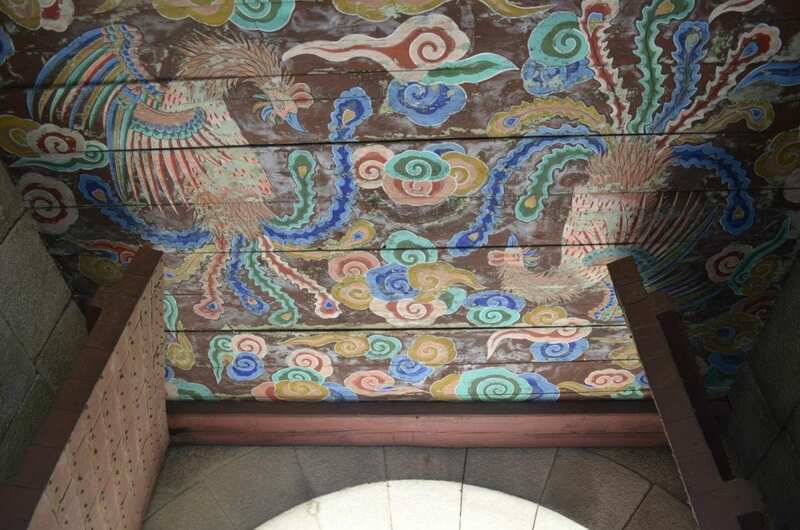 While passing through the gate you can notice that the painted designs are of intertwining fowl rather than the typical dragons design that is so commonly used in royal architecture. The wooden pavilion was previously burned down by Japanese attackers in 1592, but rebuilt in the mid-1700s in a style of the Goryeo Dynasty. 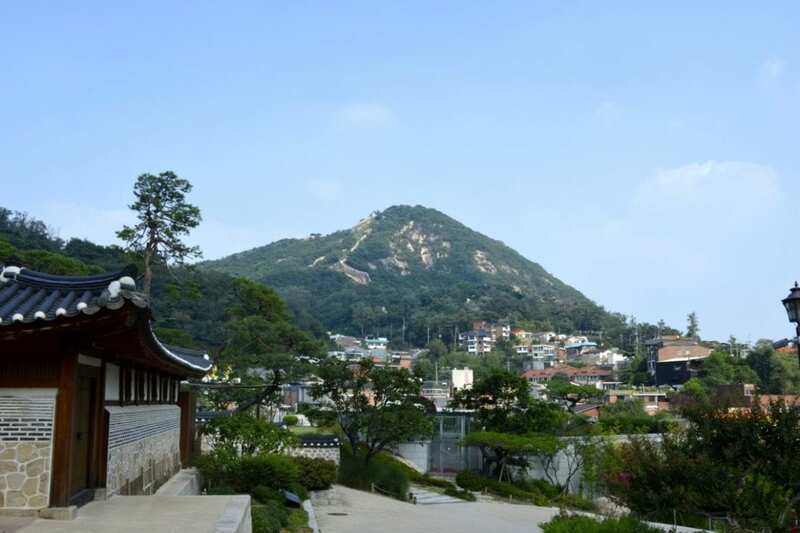 Visitors are allowed to walk through and climb the steps around Changuimun free of charge; it is also the official starting point 18.7km Hanyangdoseong walk. As the trail passes through restricted military property, you will need to apply for a permit at the Information Center using a valid, government-issued ID. 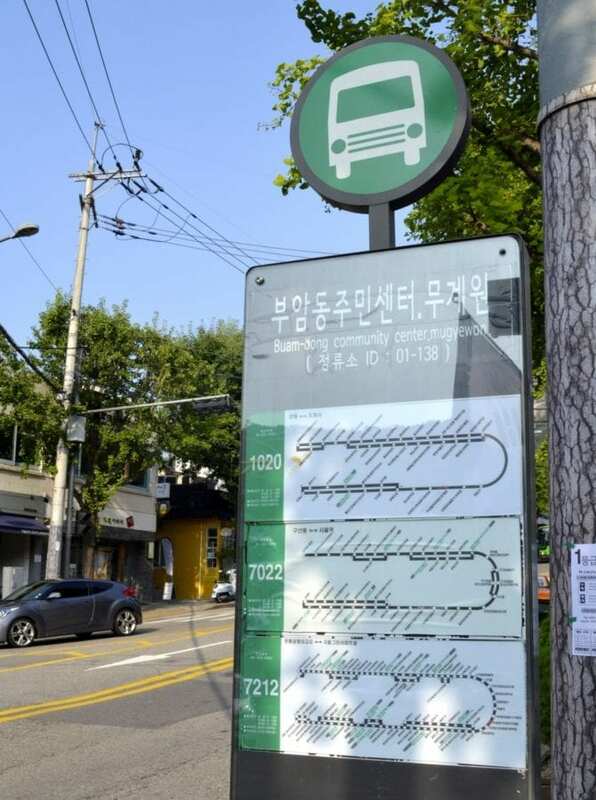 The bus stop prior to the Buamdong Community Hill, the Yoon Dong Ju Literature Museum lends access to the Poet’s Hill Hiking Trail and Changuimun Gate. The late poet Yoon Dong Ju (1917-1948) is famed for his collection of poems ” Sky, Wind, and Stars”. The collection was published posthumously after he passed away in a Fukuoka Prison during the height of the Korean Independence Movement, but now Yoong Dong Ju is widely celebrated for his nationalist spirit. 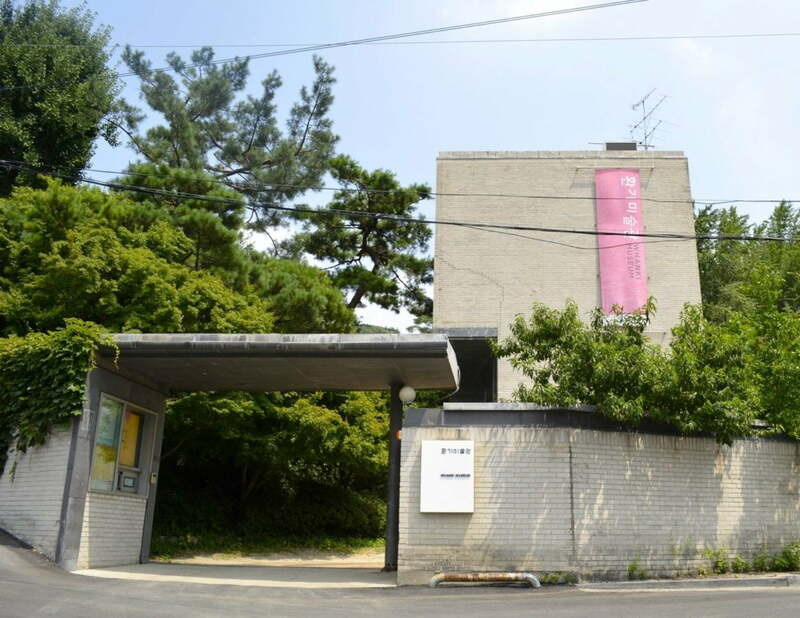 This museum itself is a work of art; in conjunction, the Jongno-gu government and Yoong Dong Association remodeled a former water-pumping station for Mount Inwang into three separate exhibition halls. The contrast of the stark, industrialist-era concrete halls and the slowly flowing water and Star gardens provide a tranquil environment for viewing such moving poetry. 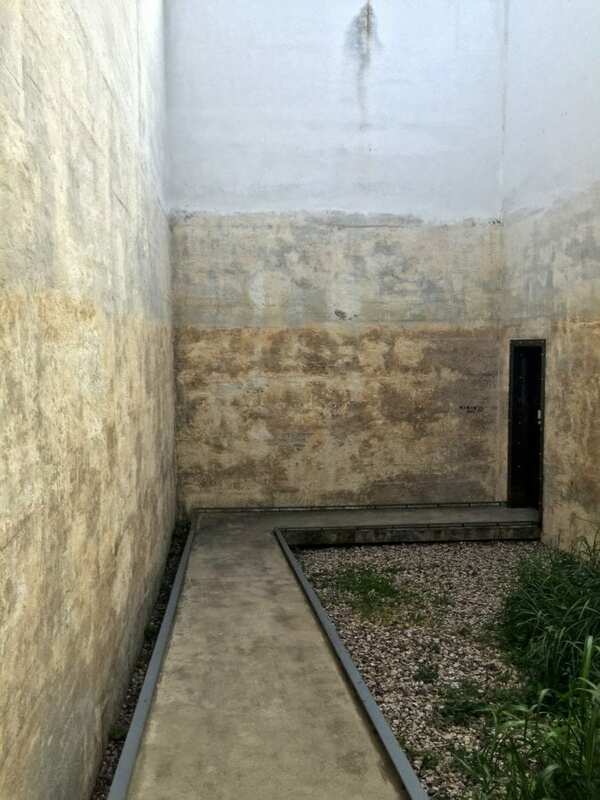 While the first exhibition hall is a traditional, renovated gallery space, the second hall is an open well pictured above, access by sliding rustic iron doors. The third exhibition hall is a former water pressurization tank in which you can sit and view a short documentary, projected onto the inner walls. 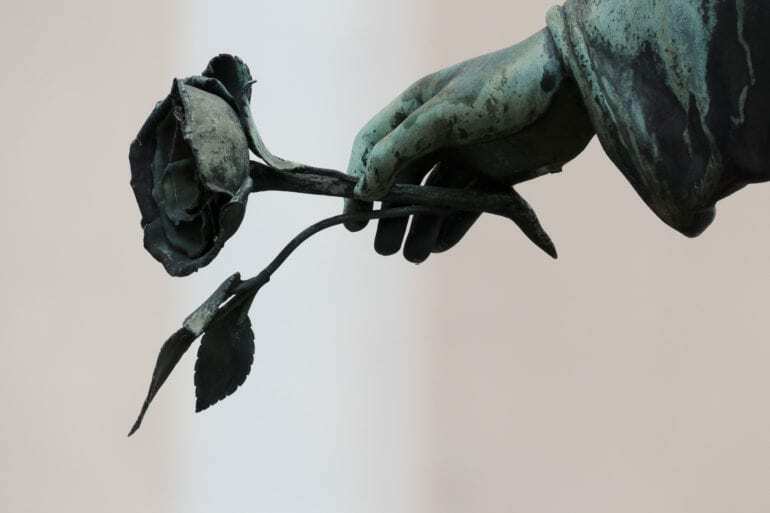 View Yoong Dong Ju’s poetry in translation here. 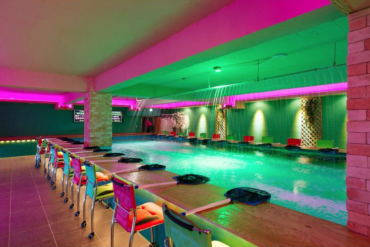 A must-go place along the road to Samtoongye Cafe and Palgakjeong. 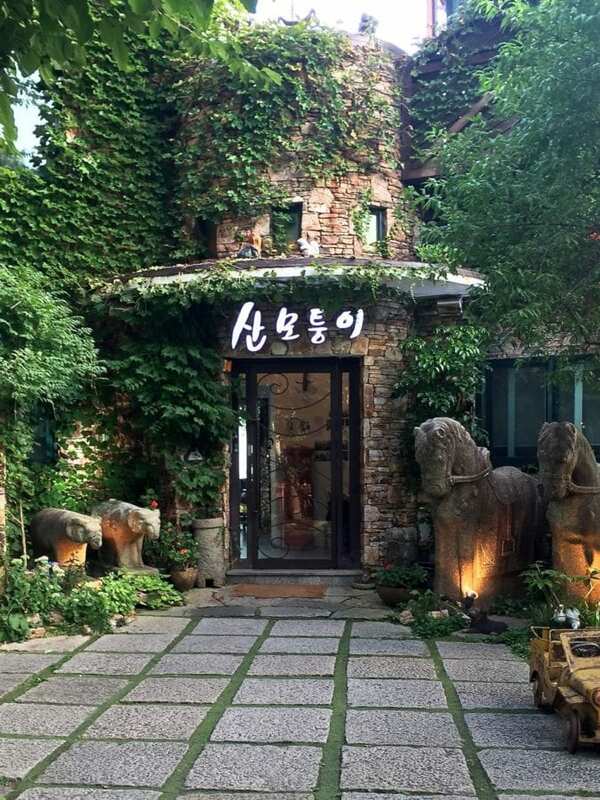 It maybe be the sculpture garden or the beautiful hanok building, the art gallery or photographs inside, the proscuitto appetizer and chilled sangria, or the warm and friendly owners, but this place will make a lasting impression upon you. 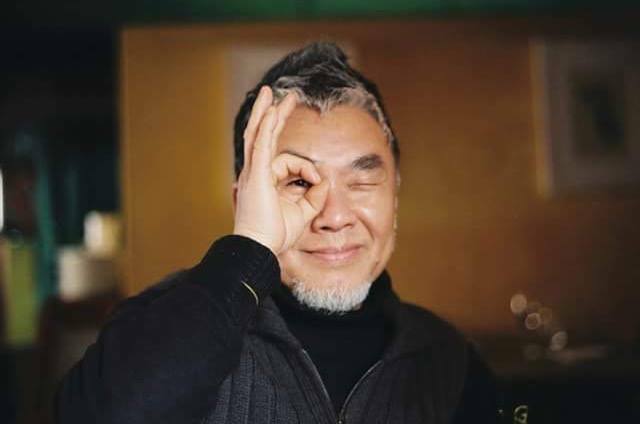 After leaving the Seoul Philharmonic and retiring from a fifty year as a professional oboist, Seong Phil Kwan or “Phillip” opening his fusion Italian restaurant and art space in Buamdong in hopes of sharing good music, food, and art with others. The walls are painted in a loving crimson hue and adorned with film photographs of musicians and friends alike who frequent the cafe. 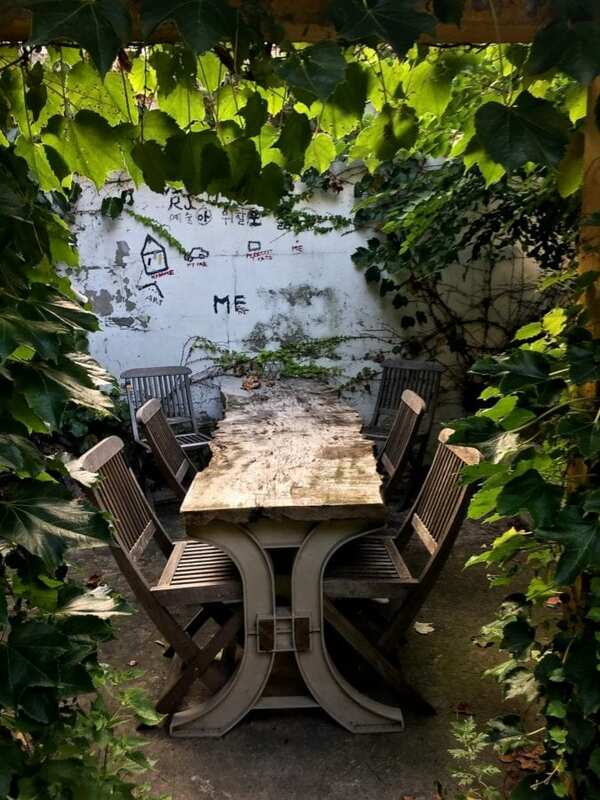 There is indoor and outdoor seating as well as an extensive dessert menu of affogato, banana flambé et Cointreau, and a beautiful wet bar. Each Saturday evening starting at 5’oclock there are open concerts for classical, jazz, or folk music with pop-up performances happening often as well. Seats are limited to about 60 persons and reservations are mandatory. 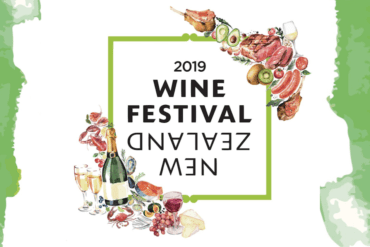 At 70,000W this is a great price for an Italian set dinner and night of beautiful music, portions of the proceeds are donated to the arts and charity as well. View a performance at Art For Life Cafe here. 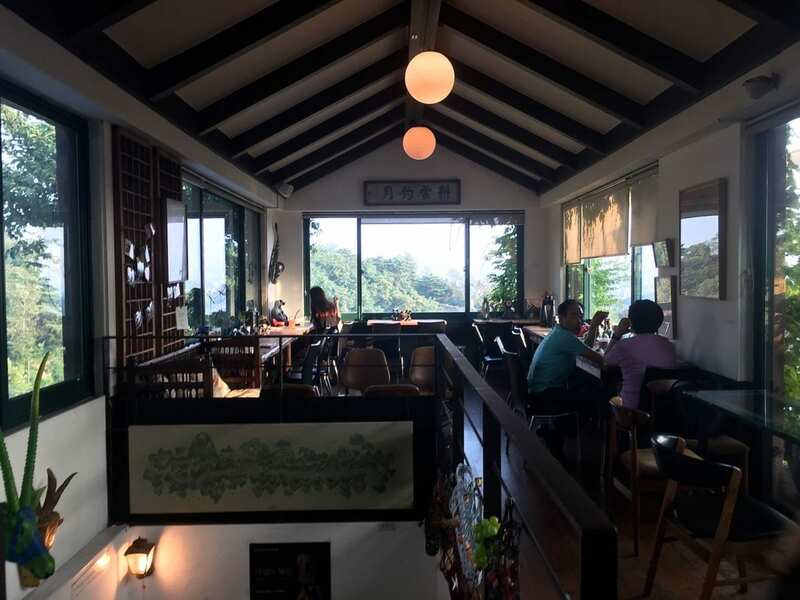 Another famous destination, this upscale three-story dumpling restaurant tucked away on a hill of the main road serves up thick ,chewy affairs of dumplings and amazing views of the valley. Korean dumplings, or mandu, are served steamed or boiled here with a side sauce of house-made soy sauce and rice vinegar. To sample mandu you can choose from Vegetarian (shitake mushroom and cucumber), Kimchi (kimchi and green onion), or the Classic Mandu ( meat, cucumber, and mushroom). Each Mandu plate includes four palm-sized Mandu with the shells naturally colored from ground yam or spinach mixed into the rice flour (4,500-5,500W). If you’re on a budget, the Ddeok Mandu Guk (Rice Cake and Dumpling Soup) is an eye-catching spectacle and very filling at 12,000W. Three varieties of Mandu are boiled together in beef broth with a generous amount of thick rice cake balls. 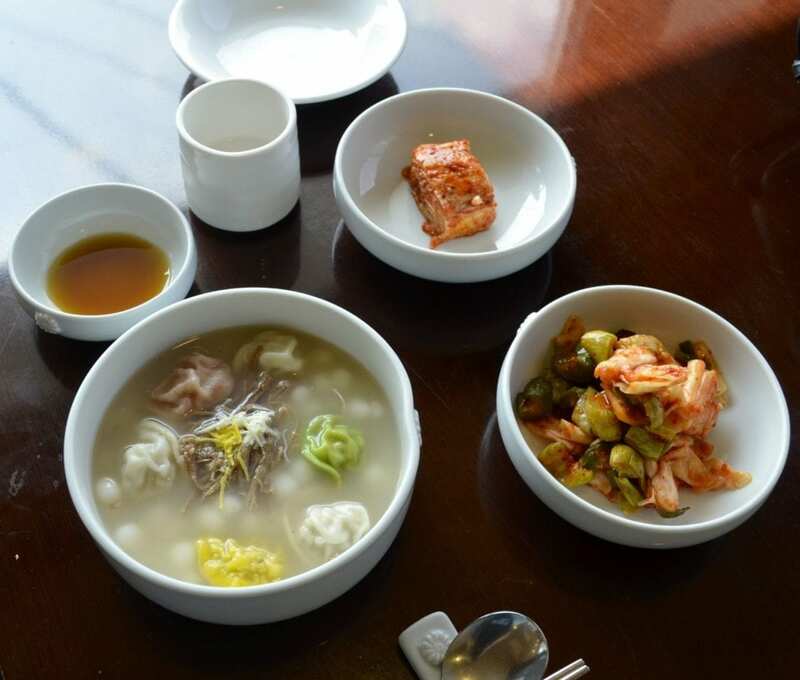 Three varieties of Mandu are boiled together in beef -bone broth with a generous amount of thick rice cake balls. The flavors are very light, fresh, and subtle; if you’re not keen to large amounts are garlic, ginger, or chili then these are the dumplings for you. The flavors are very light, fresh, and subtle; if you’re not keen to large amounts are garlic, ginger, or chili then these are the dumplings for you. 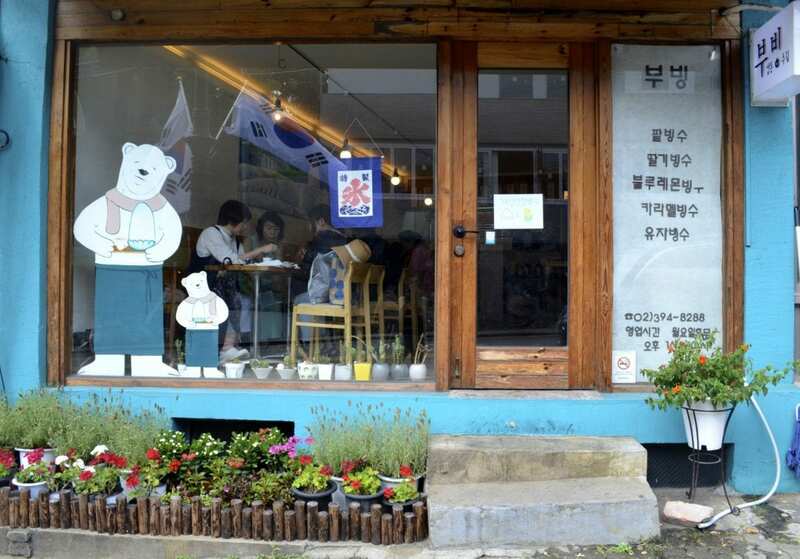 This restaurant is known ,however, for their 39,000W course meal called “Jaha Sangcharim” including seasonal porridge, jelly, vegetarian dumplings, jellyfish salad, yellow pancakes, and then your choice of dumpling soup or dumpling casserole! All of this food is topped off with a seasonal Korean dessert tea ,but its recommended you pair your set meal with Bokjunja ju as well, a liquor distilled from black raspberries found in the mountains. It is a great flavor pairing with the dumplings and packs in a 15% alcohol content. 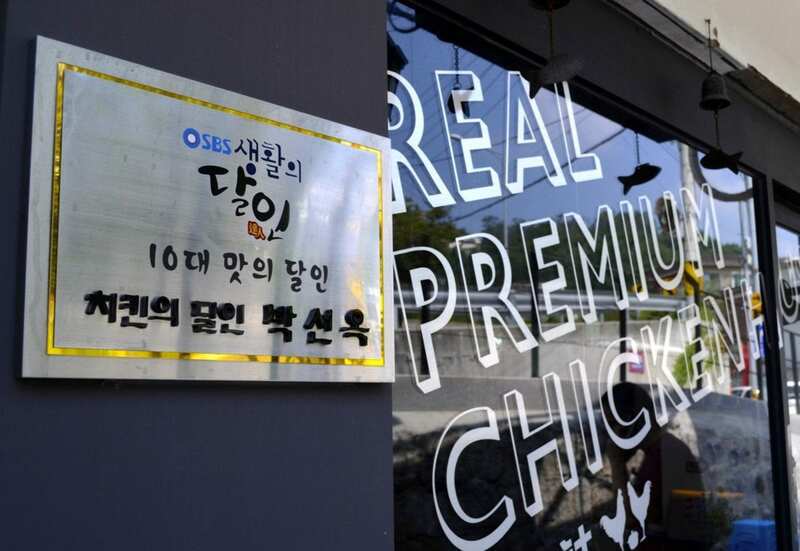 There’s a seemingly unlimited amount of chicken joints in Seoul, but Gyeolsa Chicken is definitely in the top 3. 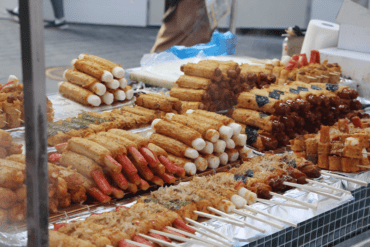 Most chicken houses only fill up in the evening, as people douse their post-work sorrows in fried goodness ,but Gyeolsa is sure to be packed at all hours of the day. Not to be dismissed as just anju (alcohol accompaniments) this chicken takes center stage for its crispy, salty outer layer that encases a wonderfully moist piece of chicken. 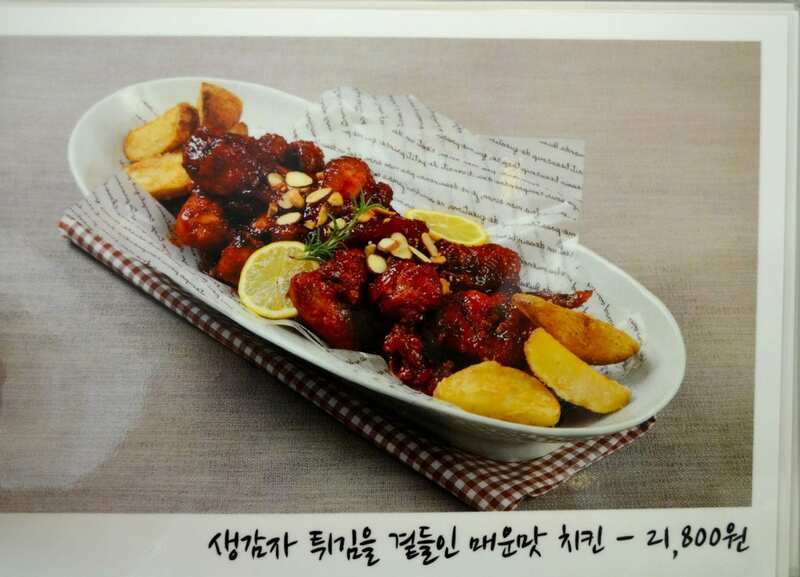 Each 20,0000W basket will get you 12 pieces of chicken topped off with crispy, ajuma-sliced potato wedges, and the obligatory dipping sauce and cubed radish. 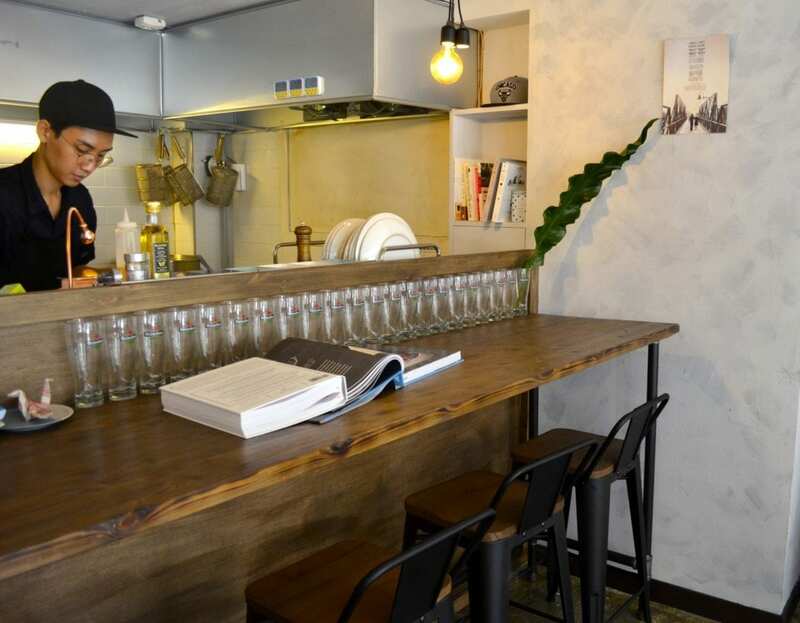 The menu is only in Korea, but the waiters here will pretty much assume what you want to order (fried chicken – 후라이드 치켄). 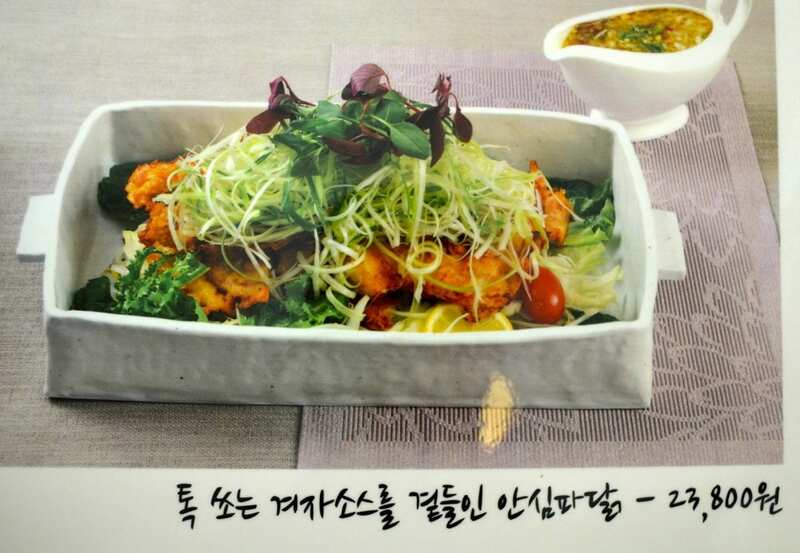 If you’re feeling adventurous, they also offer an olaegi snail dish or snails in pasta (golbaengi guksu- 골뱅이 국수). 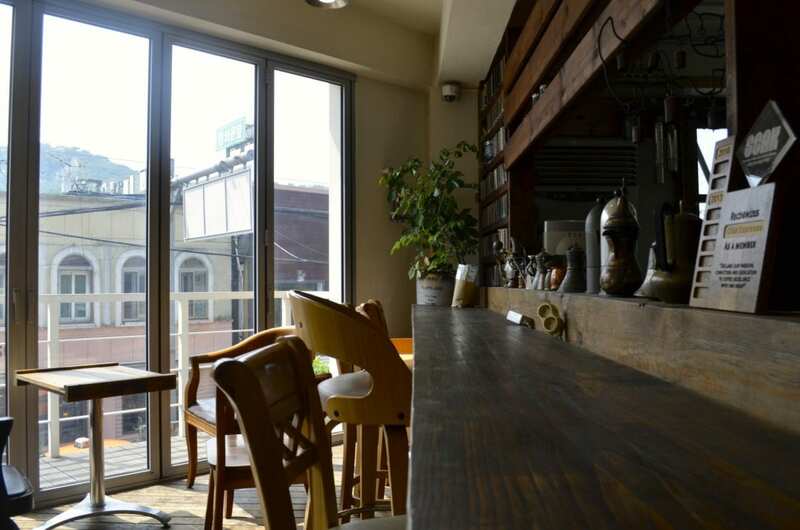 A casual restaurant serving homemade pasta, green salads, craft beers, and of course coffee. It has opened only two months ago and already has a miniature fan club for its tomato ragu and jalapeño cream dishes. 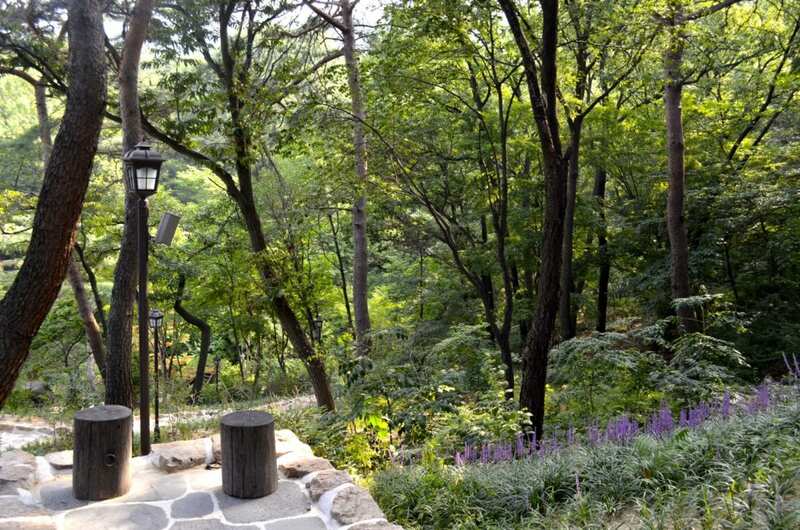 The environment offers a calm respite from the busy main road and bustle of tour buses outside the Seoul museum. 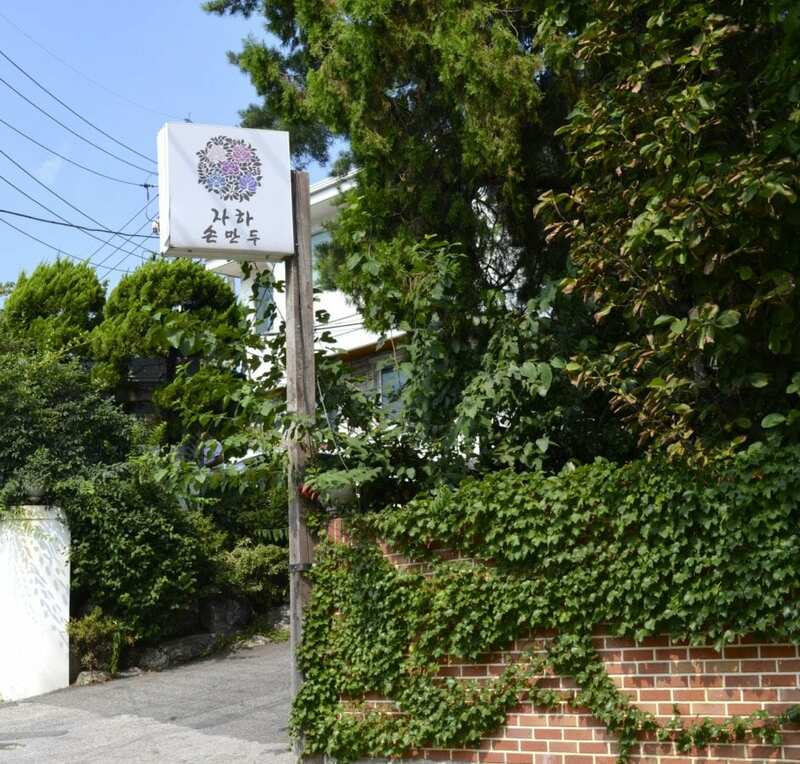 To find it, cross the main road from the Seoul museum, turn right of Alice’s teapot, and continue up the clothing boutique road until you spot the cerulean blue walls. 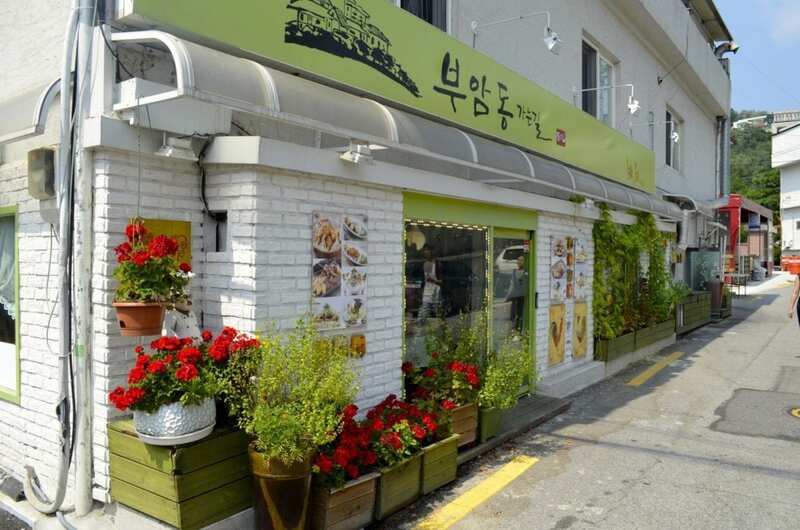 Continue down the road past Gyeolsa Chicken and Jaha Sonmandu and you’ll notice a cheery green storefront, decorated with rooster figurines and red chrysanthemums. This is the friendly newcomer to Buamdong’s chicken scene, Buamdong Kaneun Gil. Here the ajummas do not bark coarse orders but bring iced barley tea and picture menus to your table with a smile.I really appreciated the bright and airy environment as well as the attention to detail in the chicken-themed decor. The specialty of this restaurant is their saucy sesame oil and honey mustard battered chicken and the spicy Quinyang pepper fried chicken. All dishes come in beautiful white porcelain boats with a green salad or home fries (21,800- 23,800W). A bright turquoise storefront greets your eyes as you step off your bus. Is it a children’s toy shop? a gardening store? 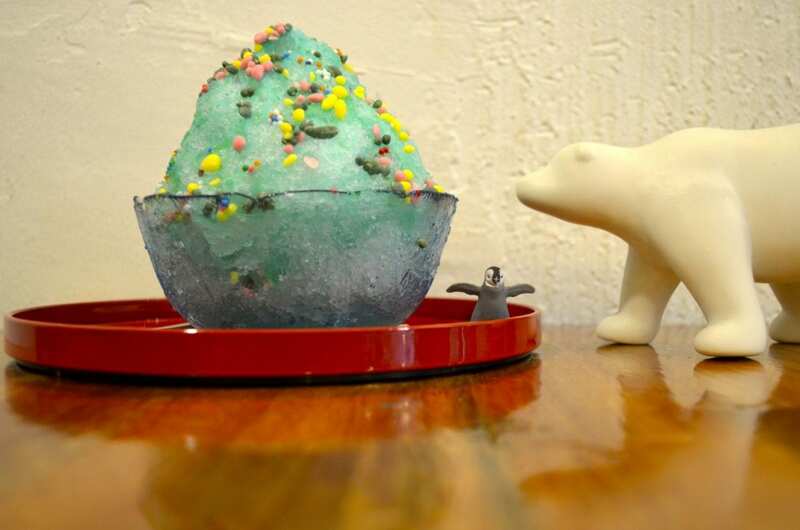 No, its Bubingsoo, a delightfully cute shaved ice dessert cafe that is decorated with a polar bear and penguin motif. Step up to the counter to order and you’ll notice soft Beatle’s music and a menu that offers the classic (red bean) patbingsu alongside seasonal favorites like pumpkin, summer corn, and Korean white peach. During the winter, a sweet red bean soup is also best here. 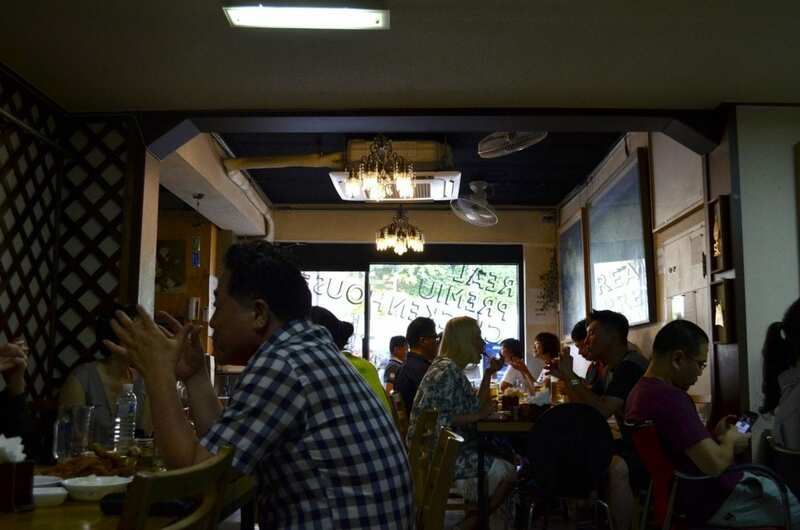 During the wintertime, a homemade sweet red bean soup is also best bet here. 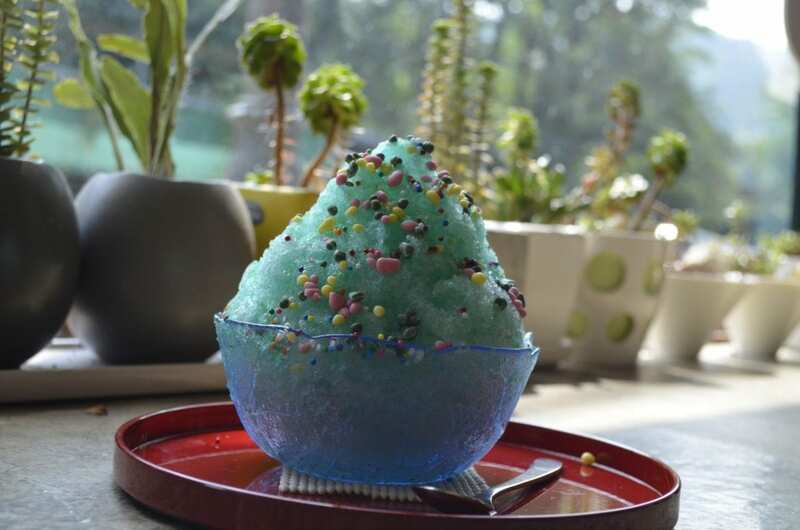 We had the gourmet Blue Lemon “Popping Candy” Bingsu that brings back childhood with its eye-catching colors and sugary bits that literally fly off the ice mountain. 7,000W for 1-person size ranging to 16,000W for 2-person specialty bingsu. By far my favorite bakery in Seoul. 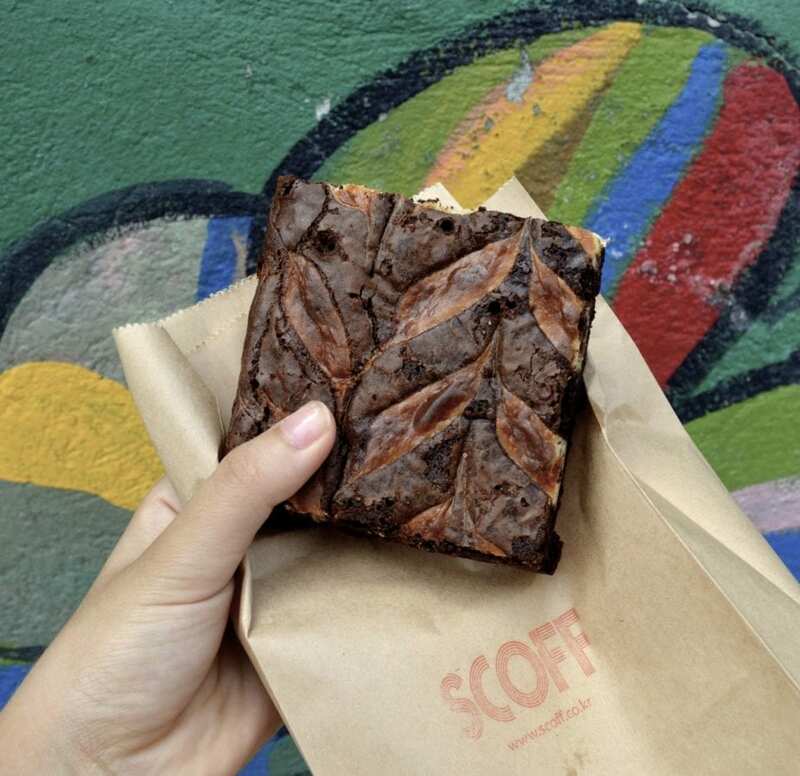 If you’re partial to chewy, moist brownie slabs, citrus-infused and cranberry-studded Hot Cross Buns, and generously honeyed slices of ginger cake that span the length of your hand, then SCOFF is the place for you. 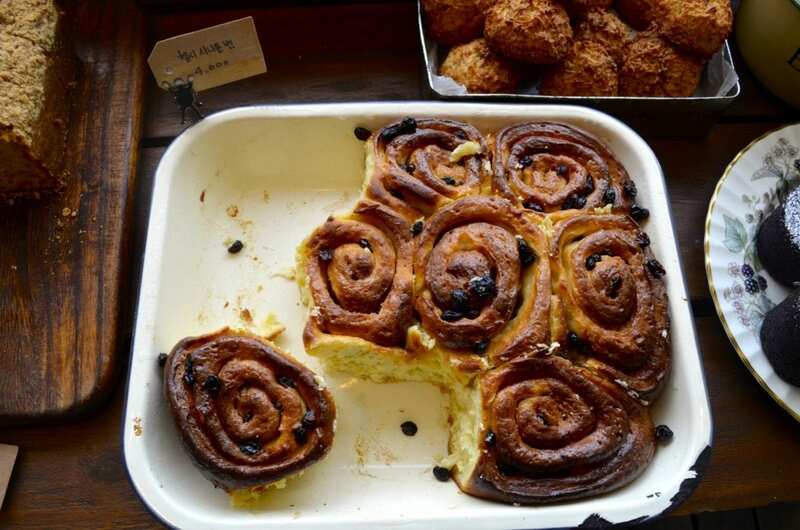 Opened by a British native just a year ago, SCOFF is already a regular across the Naver food blogs for its fabulously doughy treats. Rare slices of dessert breads like Banana Cake and pillowy, crusted scones are authentically unique imports to Seoul. The only thing stopping me from buying up the whole bakery was the fact there was no seating available. My little arms can carry only so many delicious baked goods ,so I grabbed a Cream Cheese Brownie (4,500W) to go. Opens 10am, frequently sells out on weekends. 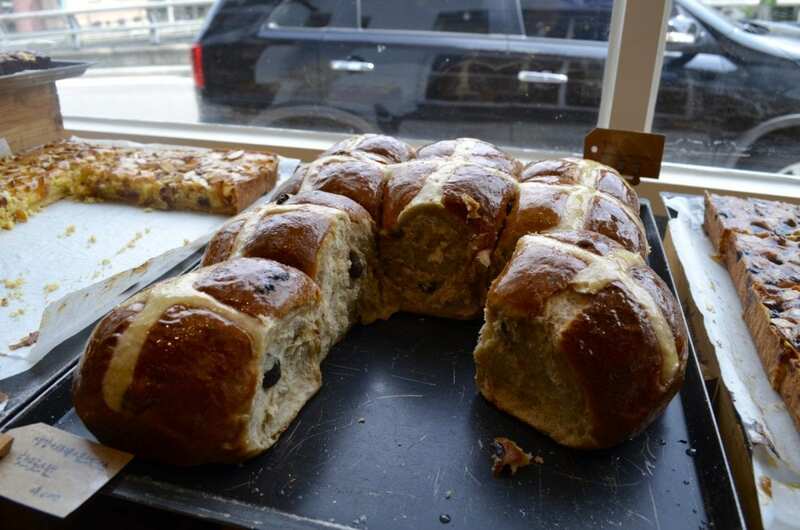 Most popular items include chocolate brownie slabs, cranberry buns, and ginger snack cake. 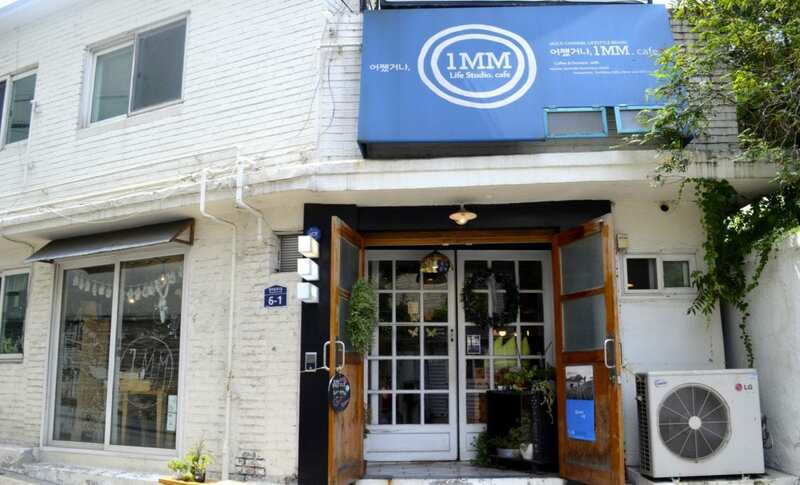 With one of the most unique cafe concepts in Korea, Anyway 1MM Cafe is where handicrafts and furniture design meet an excellent dessert and drinks menu. 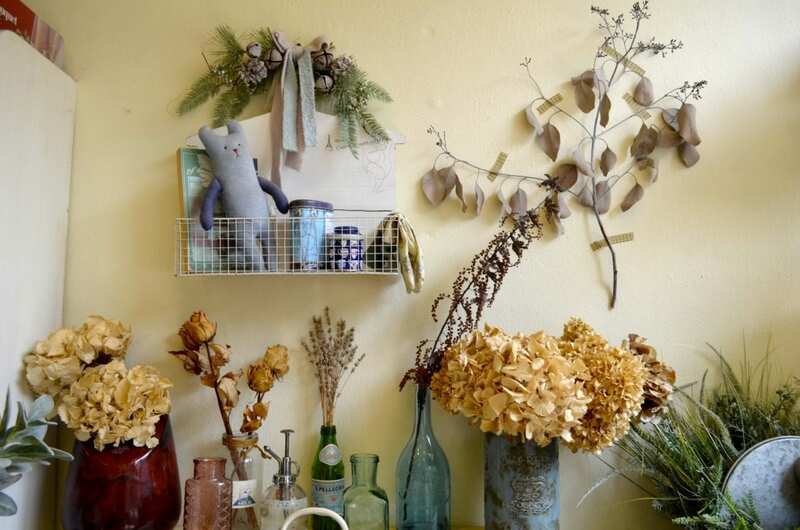 Founded by interior designer Park Seon Young, the first floor is a showcasing of his craftsmanship and cute lifestyle accessories like dolls, post cards, and stationery. Upstairs, you can look at more woodworking in their gallery or play with the cafe attendant’s little dog. 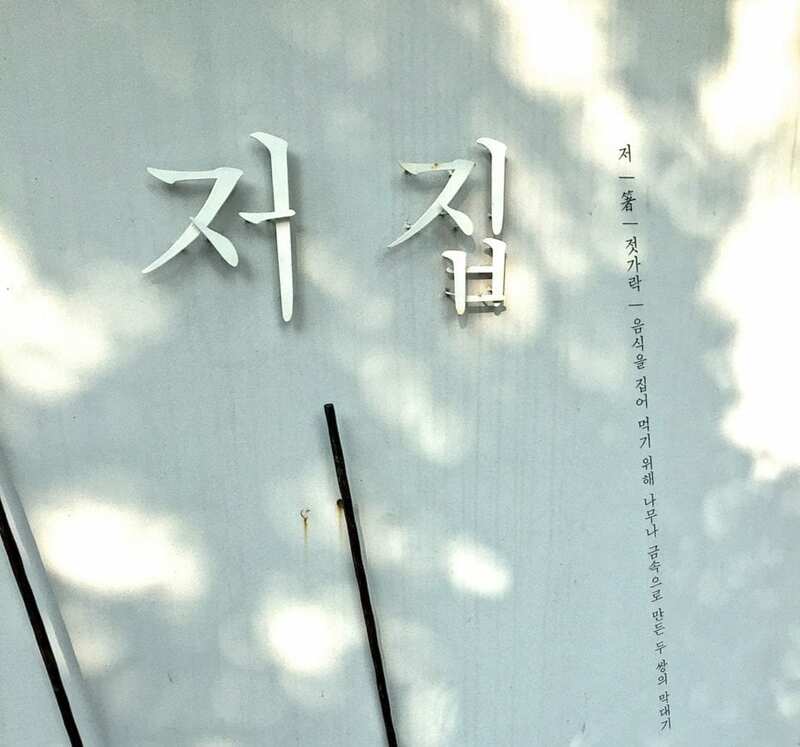 This cafe is on the same road as the Seoul museum, simply take a left instead of a right at the three-street intersection. 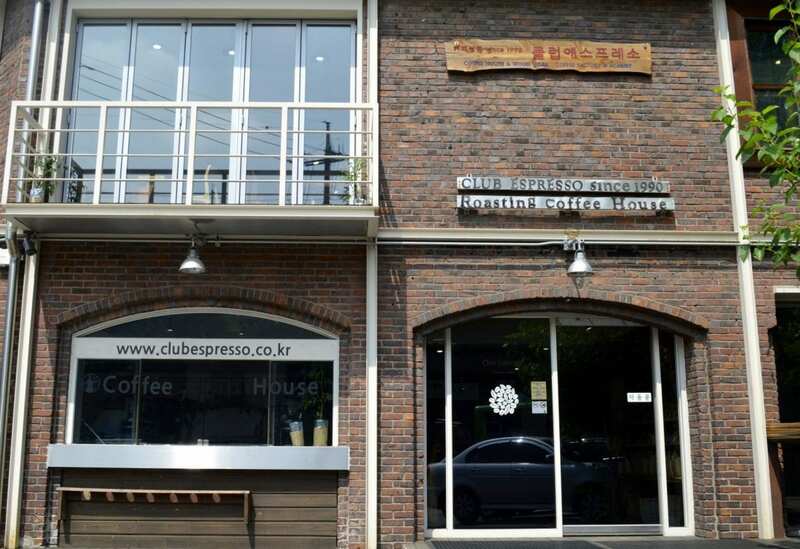 Founded in 1990, the intoxicating deliciousness and amazing quality of coffee at Club Espresso has drawn the business out of its small cottage to a two-story venue on the main strip of Buam dong. Here the roast their own beans; their specialty espresso extractions pack a mouthful of exquisite acidic flavor. 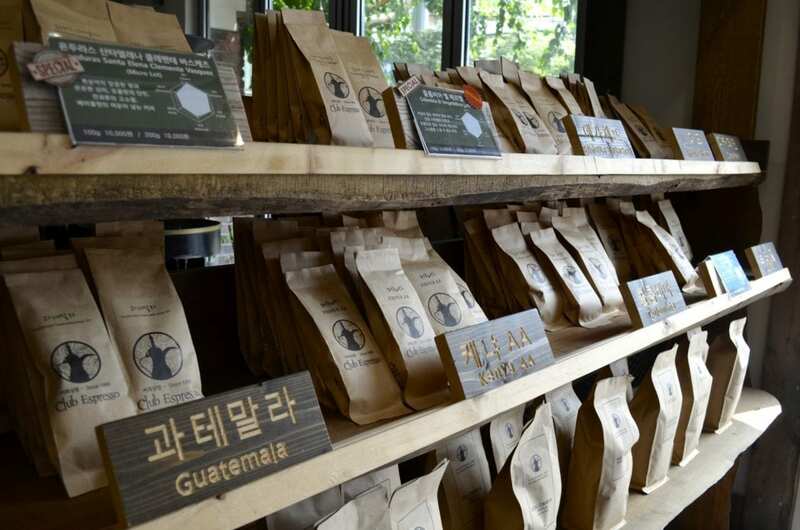 While espresso is the name of the game here, they also offer delicious Korean-style drip coffee. The second story provides quaint views of the main street and an open-beam ceiling giving the seating area a charming, rustic feel. I found many couples and families enjoying fudgy affogato cups and americanos in the shaded section as well. To place your order, choose between drip coffee, single-origin espresso, or an espresso variation drink. From there, each category has a selection of several beans sourced from Guatemala to Kenya. 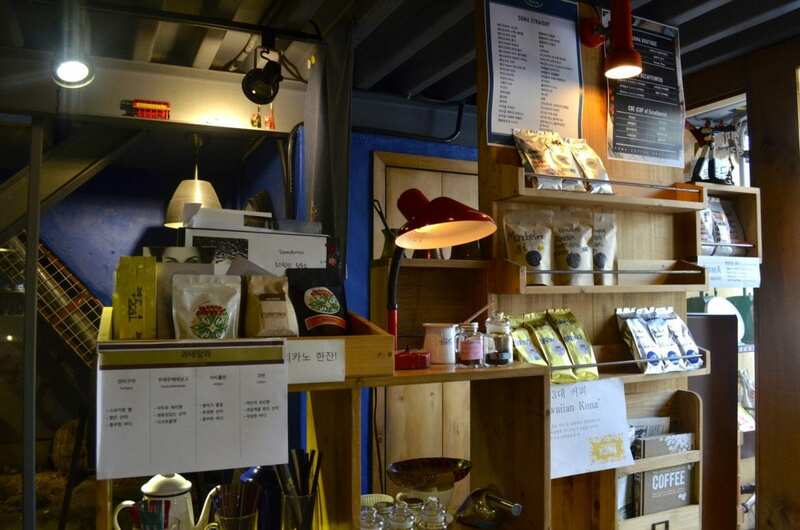 You can also purchase beans a variety of coffee paraphernalia like Italian-made stove-top espresso makers and mug accessories. 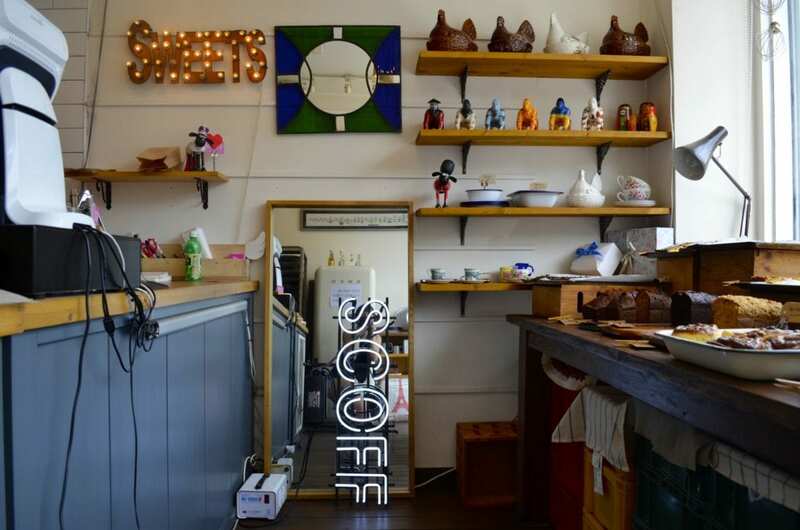 Just down the road from SCOFF bakery, this coffee roasters and academy boast many African-sourced beans and does their extractions on-site as well. The specialty here is Dutch brew coffee, where cold water replaces hot water and steam to infuse the liquid with the grounds. It takes roughly 3-6 hours to brew a pot, but because of the absence of oxidation the coffee is given a lighter, less-acidic flavor and more of a fruity after taste. 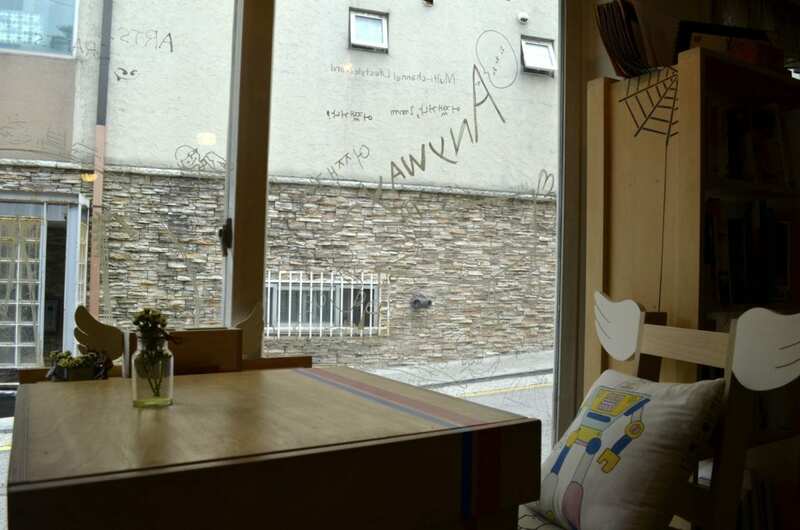 This cafe offers a very shady respite after hiking around Seokpajeong or a place to devour your baked goodies from SCOFF, the second floor is decorated with vintage toys, and bold blue walls making you feel as if you’ve snuck into the cozy attic playroom of a rather sophisticated 11-year old. 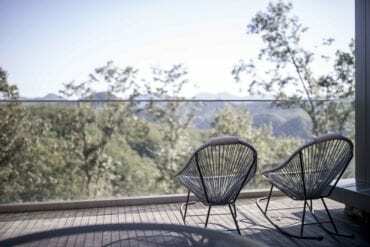 A 700m walk up the hill past Club Espresso, the Sanmottonge Cafe is not for the faint of heart, but offers breath-taking views of the Inwang and Bugak mountains. 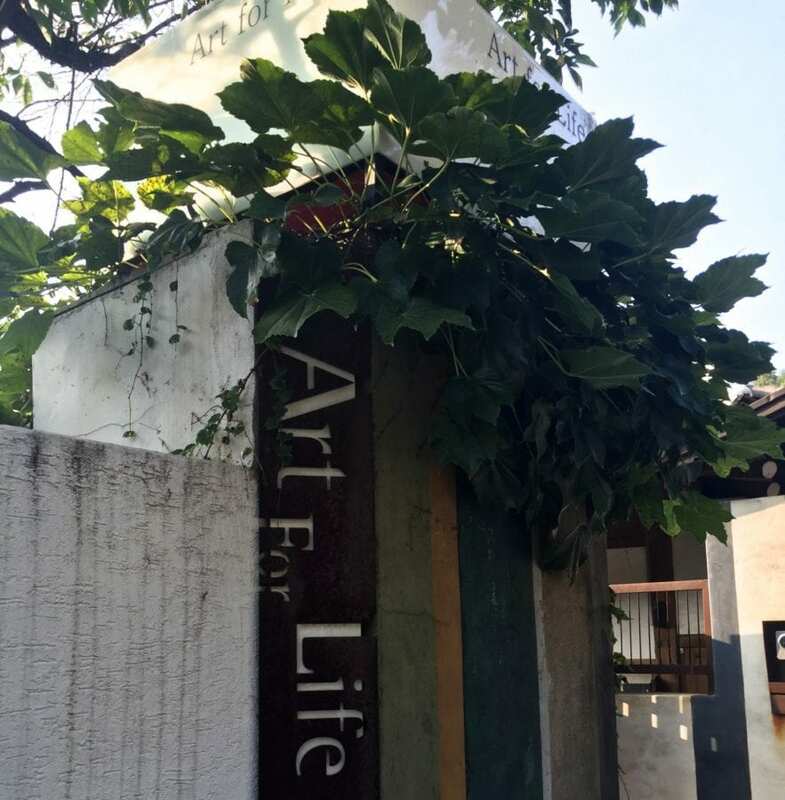 Follow Neungkumnamu road up past the Korea Campus Crusade for Christ and Art for Life Cafe. The cafe itself is a gorgeously renovated brown-stone mansion, with an open patio garden, large picture windows, cozy wooden interiors, and a little rooftop terrace house to enjoy your cheesecake and coffee in. 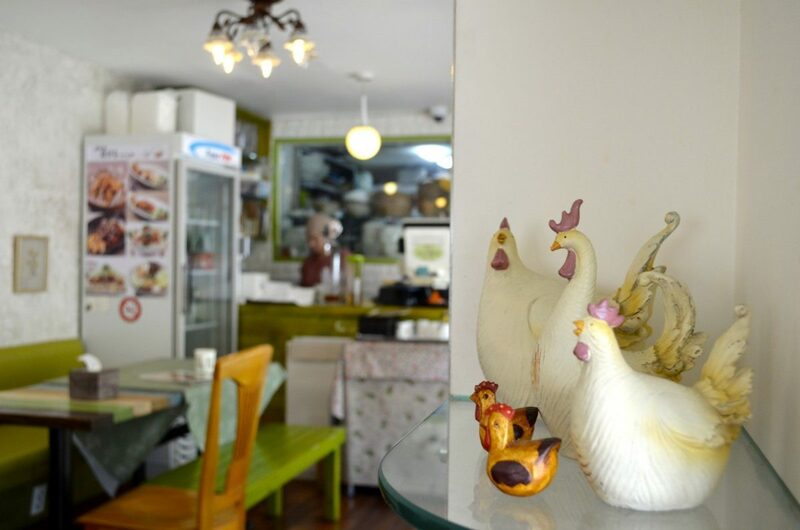 The atmosphere is remnant of a Swiss Chalet, only decorated with antique knickknacks and Coffee Prince souvenirs. 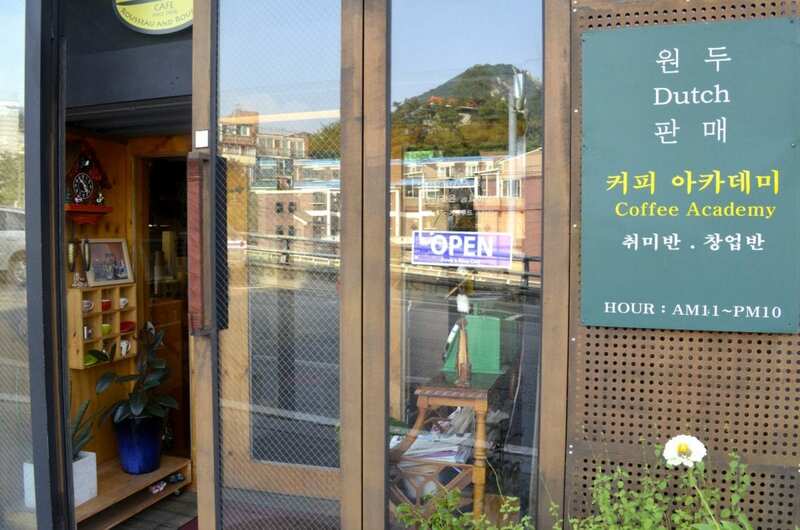 On the ground It is perhaps best well-known for being the filming site of a MBC Korean Drama “Coffee Prince”, you’ll notice lots of memorabilia, signed posters, and a signature vintage yellow Volkswagen around the cafe’s grounds. 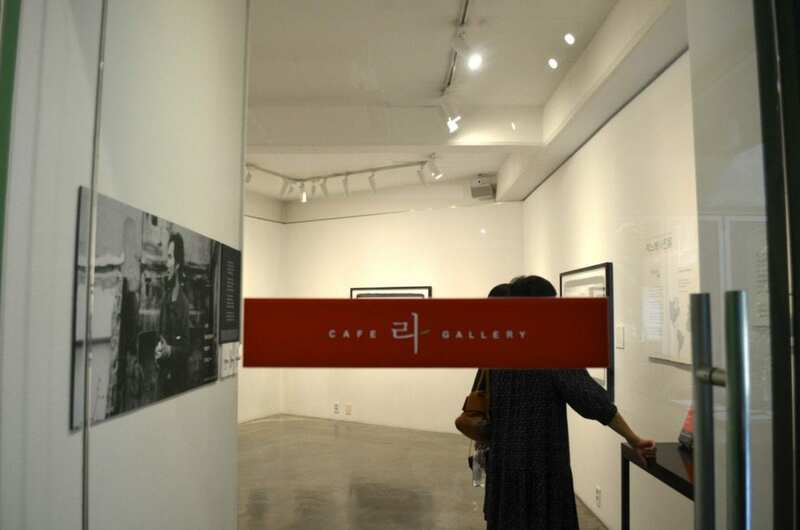 On the ground floor you’ll find a Gallery and Fun Room filled with eccentric props used during the drama’s filming and a selfie-station where you can try on Coffee Prince acessories and snap a photo in a wall-length mirror. It’s not cheap at 8,000W a cup of coffee, but you’re paying for to take a look around the gallery and the for the stunning views. 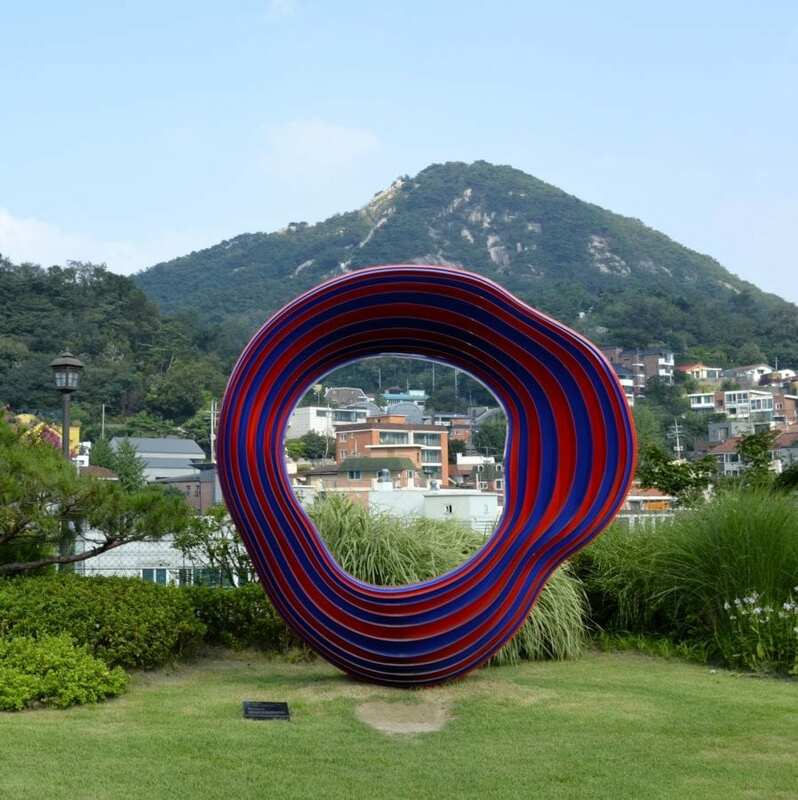 Proclaimed as “the highest art gallery in all of Korea”, this contemporary art gallery offers free admission to its spaces and a garden pavilion with spectacular views. 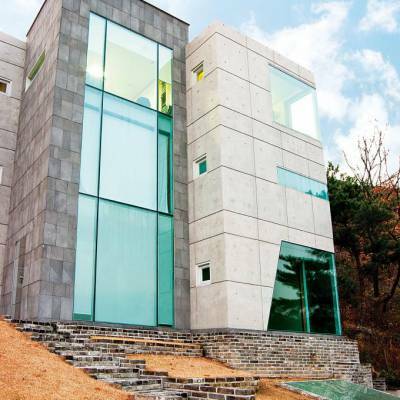 The Zaha Gallery was founded and is funded by Korean entrepreneur Kang Jong Kwon who wanted to dedicate a space to showcasing experimental works from young Korean artists. 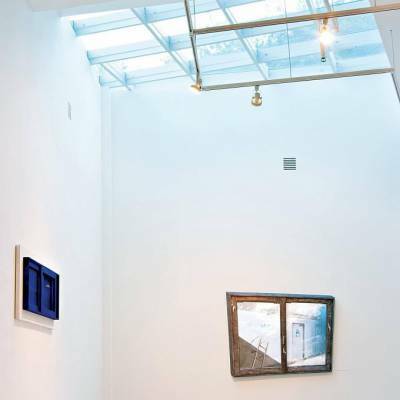 Throughout the two-stories of gallery space, you can view a fantastic variety of art from sculpture and oil painting to woven cloth and collage. 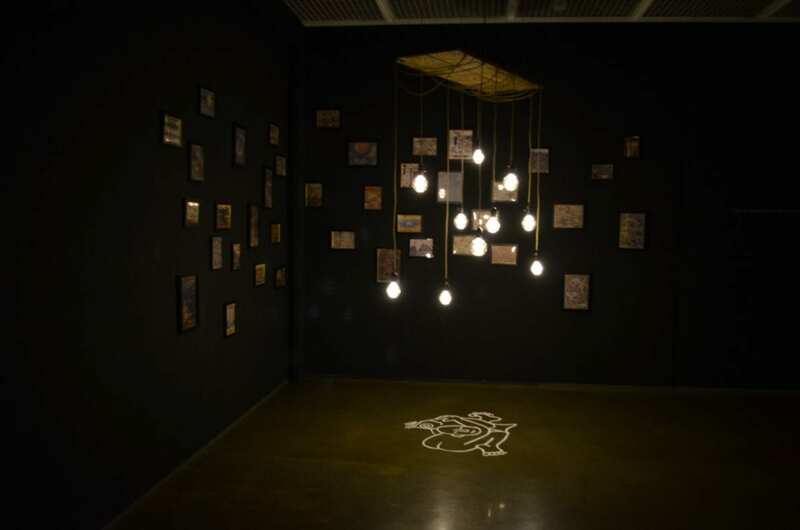 In addition to the accommodating a range of mediums, the gallery also hosts competitions and educational programs for creatives. 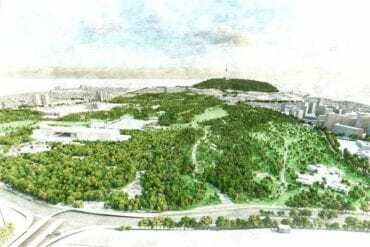 The park has has been reopened by the Seooul Metropolitan Government to include plaza, a pagoda resting area, a wildflower garden and walking trails. This beautiful eight-cornered pavilion is famous for being the site where rebel Korean activist gathered to declare independence from Japan at the height of the March 1st Movement of 1919. It was here where their declaration was first publicly read, spurring military action and arrests by the Japanese colonial government. 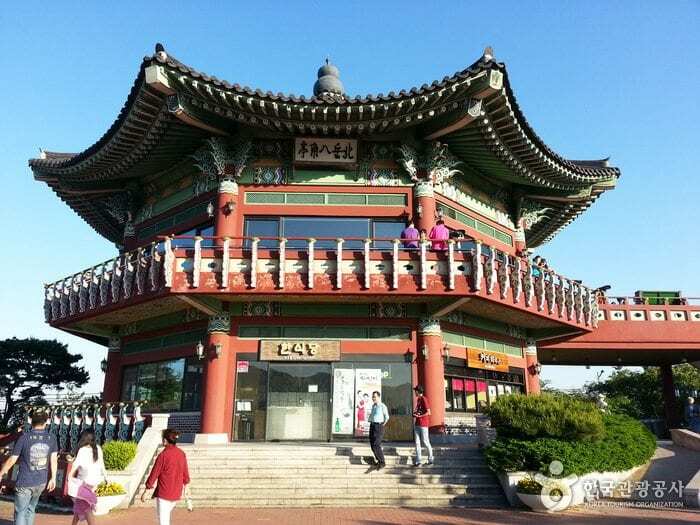 Palgakjeong Pavilion was built in 1902 during the 6th year of the reign of King Gojong. Construction and oversight was done by royal architect Sim Uiseok, who was considered a master of harmonizing both traditional and modern architectures. 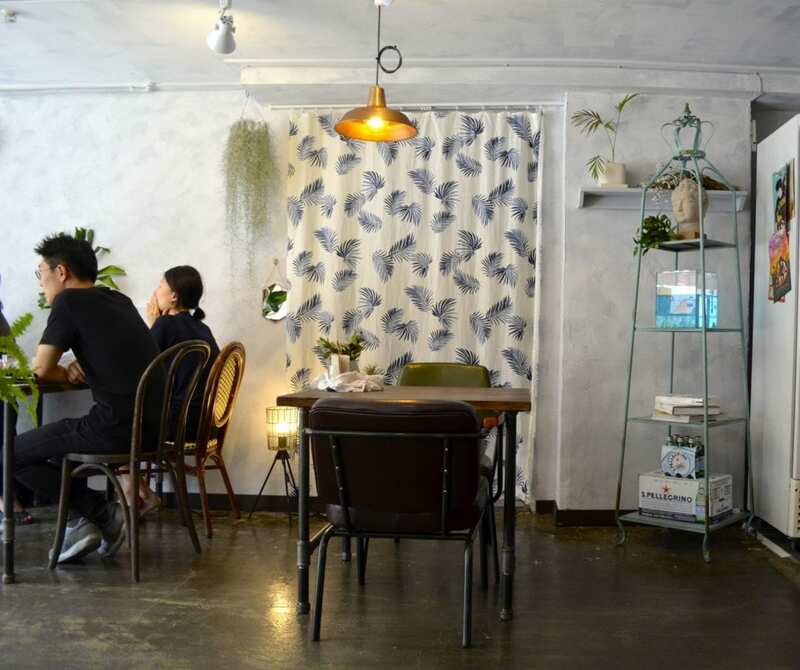 Housed in a sleek, modern style studio a few paces away from the bus stop, Jeojip is as much a chopstick store as it is a gallery. It takes about 30 joints and 50 muscles to maneuver a pair of chopsticks ,and Jeo Jib considered each one while designing their balanced, mother-of-pearl inlay chopsticks. 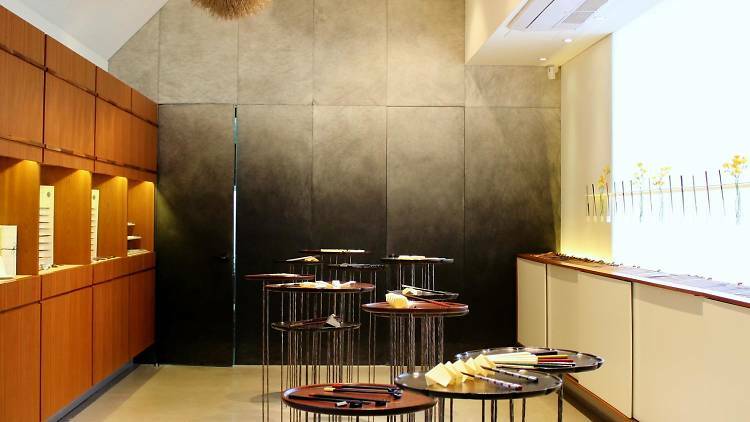 This is a perfect place to pick up a quality gift from Korea for a friend back home; their rose-tinted ,lacquered utensils have been featured everywhere from the Milano World Expo to the glossy pages of Chinese fashion magazines for their outstanding design. Chopsticks start from 55,000W to 200,000W for a single pair. 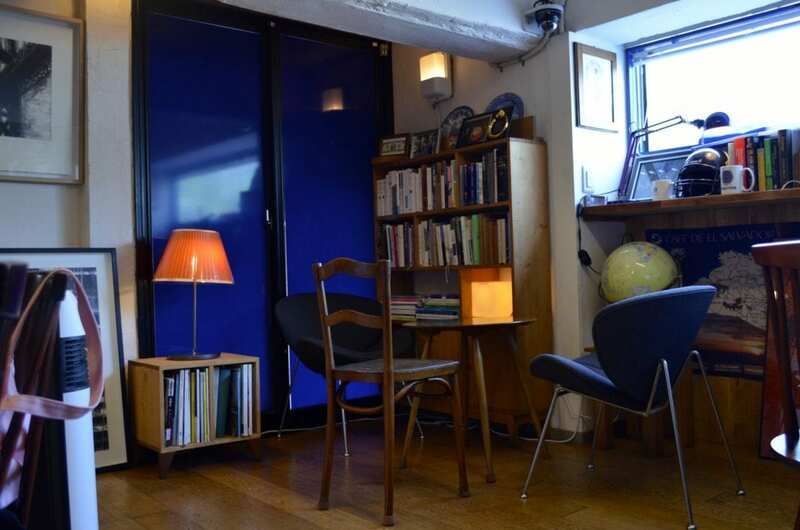 If the price is too steep ,however, feel free to simply take a look around the studio. 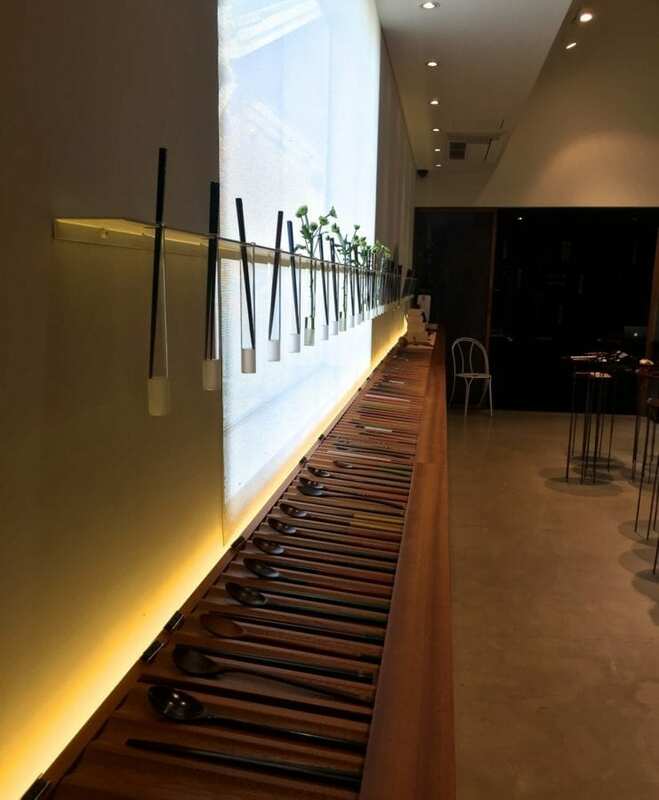 The gallery has won a Grand Prize from the ROK’s Space Design Award Association for its effective and aesthetic way of showcasing its products. 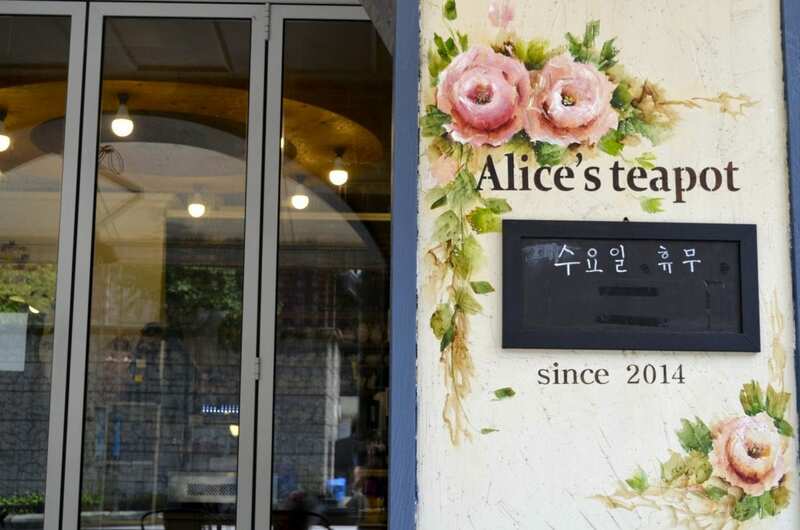 Located across the road from the Seoul Museum, Alice’s Teapot is local hotspot to women for their very affordable afternoon tea sets. 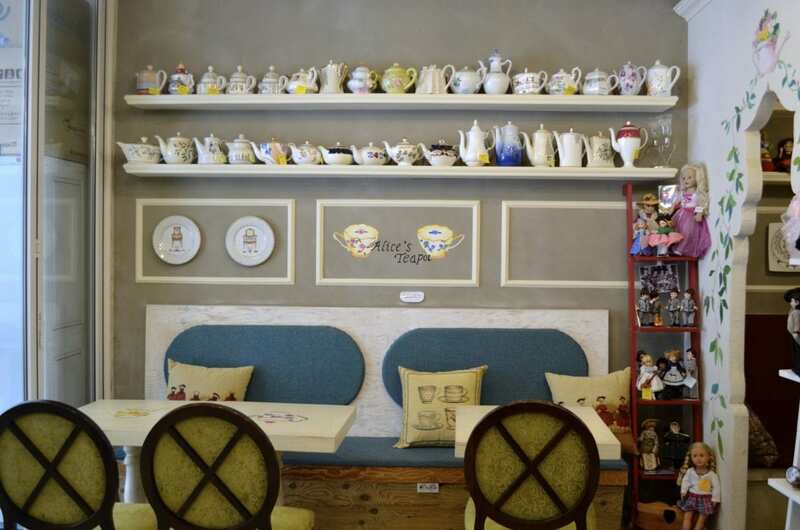 The cafe decor consists of many Sancho dolls peering out from the shelves and hand-painted floral wall murals. 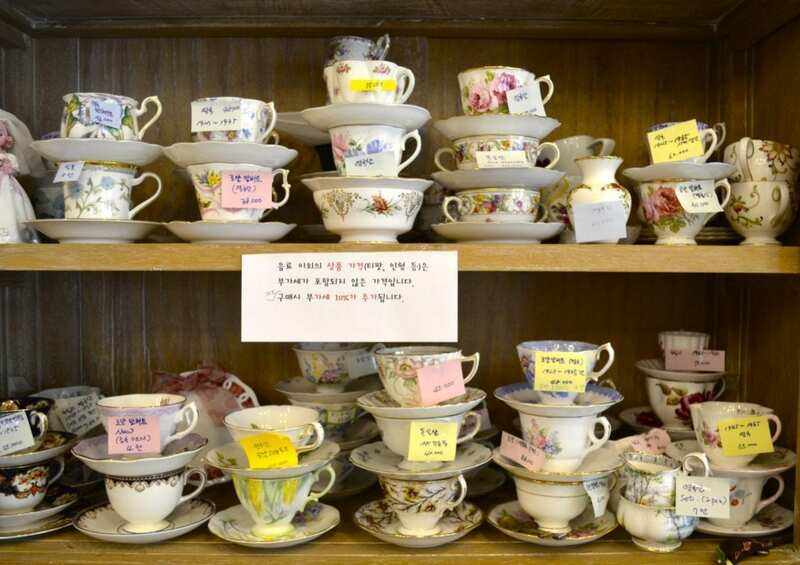 Here you can find a variety of tea cups, pots, and accessories to purchase or sit down for a cuppa. An impressive selection of Versailles Rose to Juba ttempeu will run about 6500-7500W for a hot tea pot. Afternoon tea sets of homemade pastries such as macarons, scones, and homemade yogurt are 10,000W for a three-tiered set. 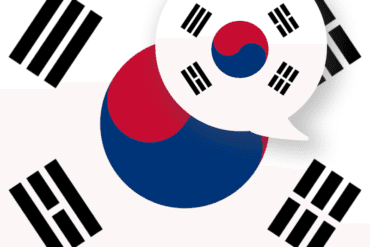 The menu is only in Korean, so ready your Hangeul skills or ready your tea order beforehand! ” nok cha hanna gae jusayo” – I would like a cup of green tea. 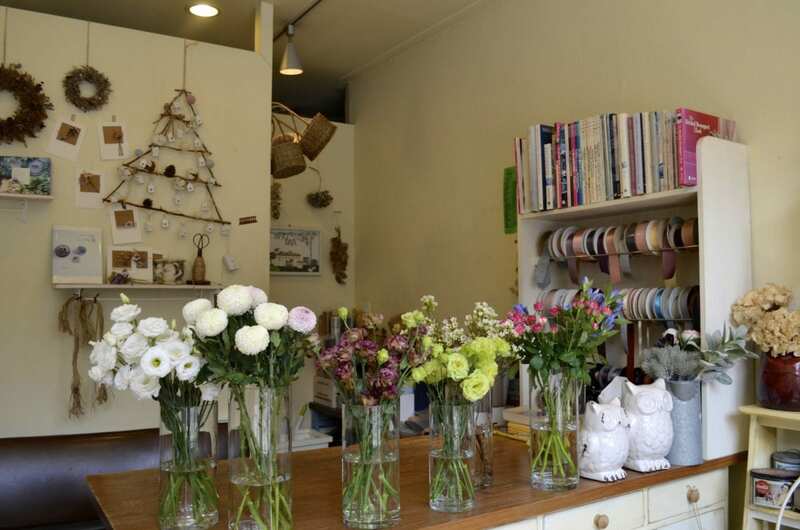 A classic Korean flower shop, Infiorata balances beauty and tranquility by accessorizing their flower bouquets with girlish ribbon and brown paper wrappings. The storefront features a beautiful presentation of warm-tone sample bunches and stuffed animals that are sure to draw you in. 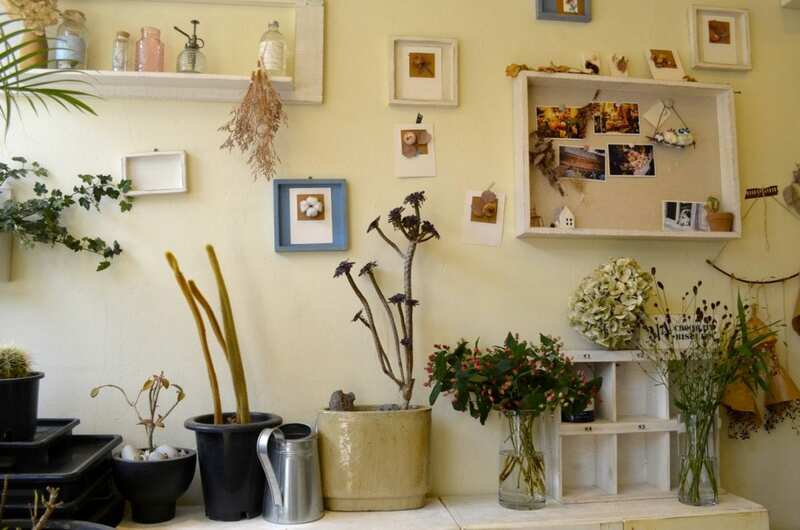 The shop, run by two women, sells a wide variety of from cacti to chrysanthemums. Perennial houseplants and even silk flowers can even be bought as an inexpensive and thoughtfullong-term gift. The plants are impeccably paired with a matching ceramic pot to enhance the blooms and carefully packaged so as to protect the plant during transportation. For arrangement classes or prebookings click here. 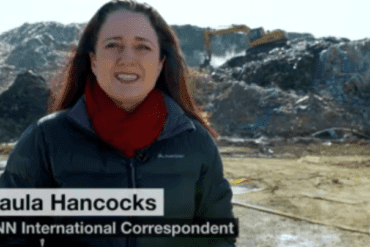 Lauren Place is a student in Comparative Literature and Statistics at Northwestern University in the U.S. Living in Seoul for language studies, she has developed a penchant for green tea flavored sweets and nangmyeon noodles.